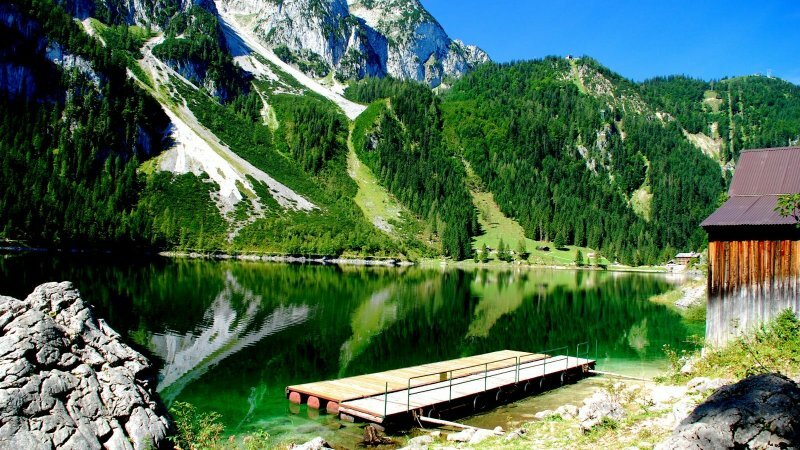 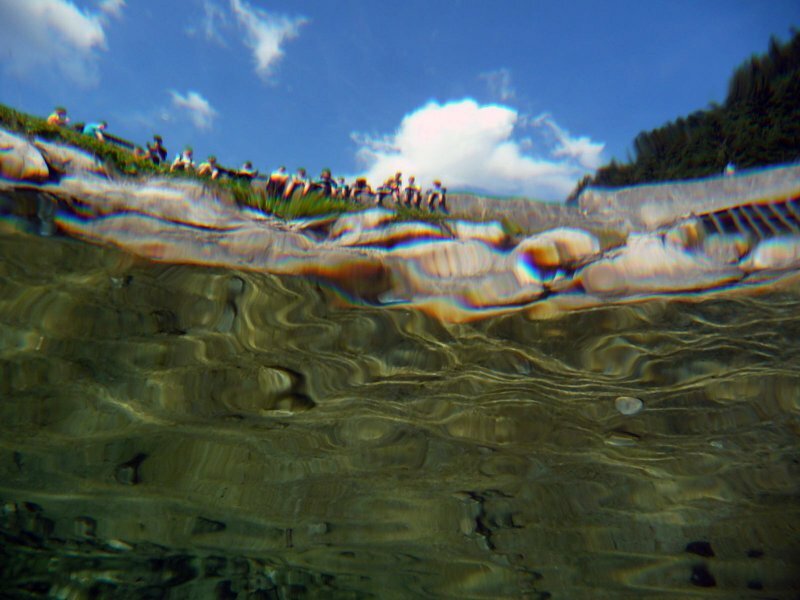 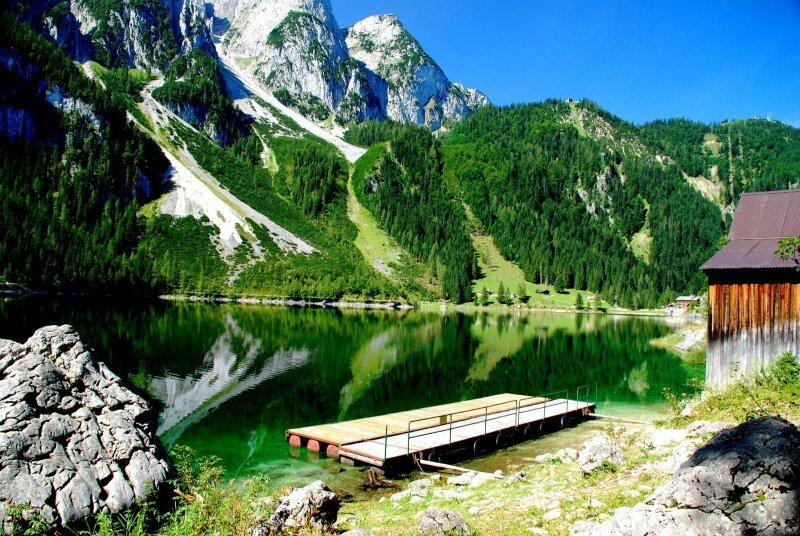 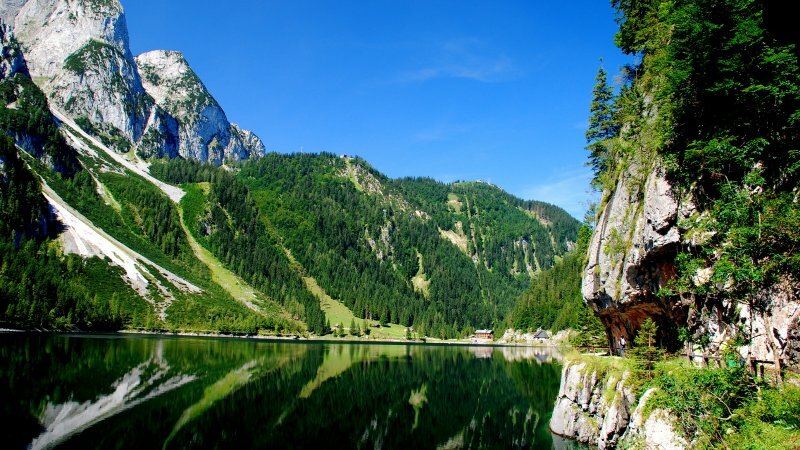 High mountains and deep lakes with the best drinking water quality, rivers teeming with fish and crystal clear karst springs will send Neptune followers into raptures whilst diving in the Salzkammergut. 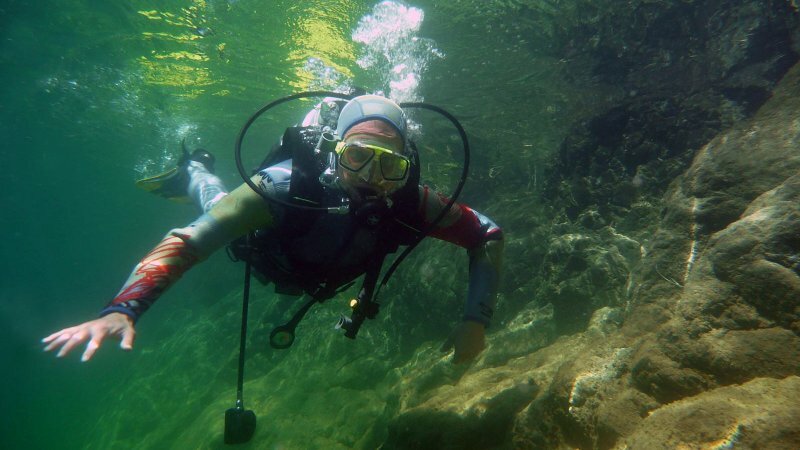 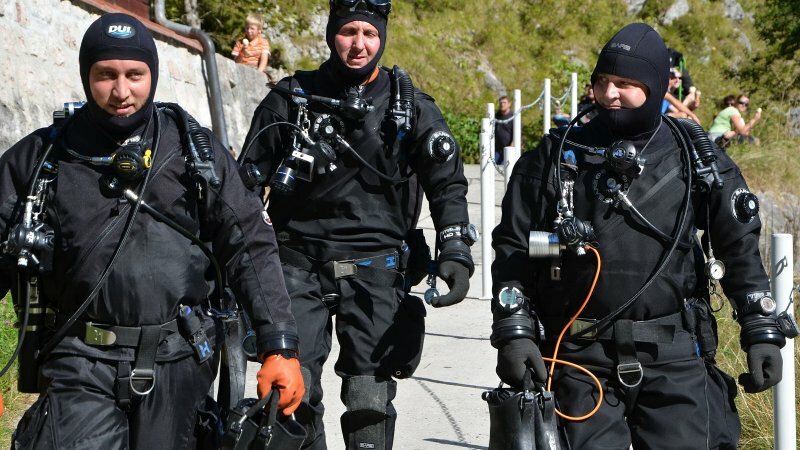 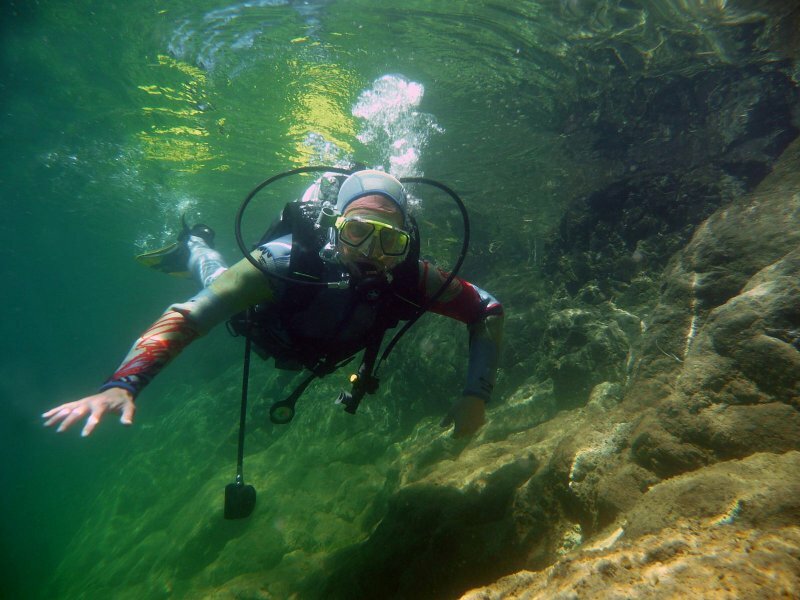 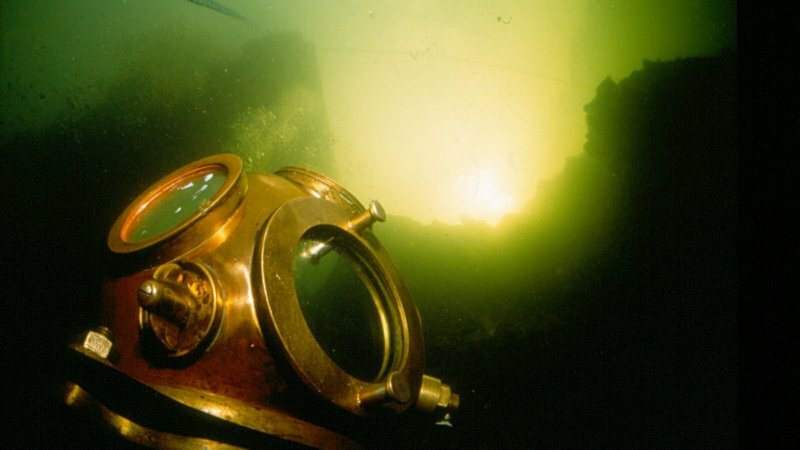 Fascinating diving - from introductory and special diving courses to full-day dive trips – there is something for everyone on a diving holiday in the Salzkammergut. 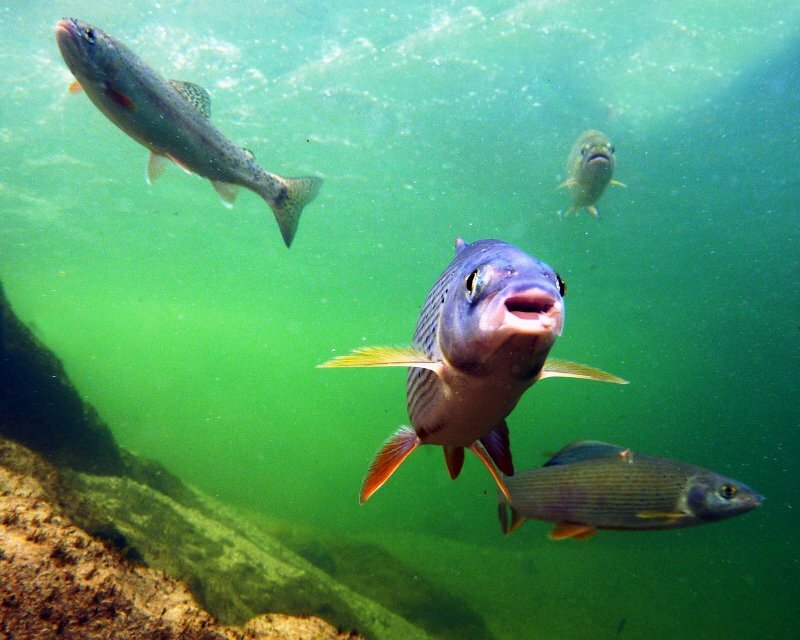 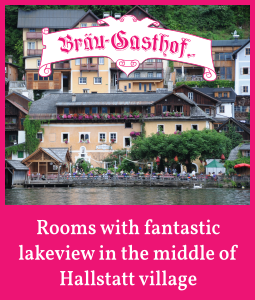 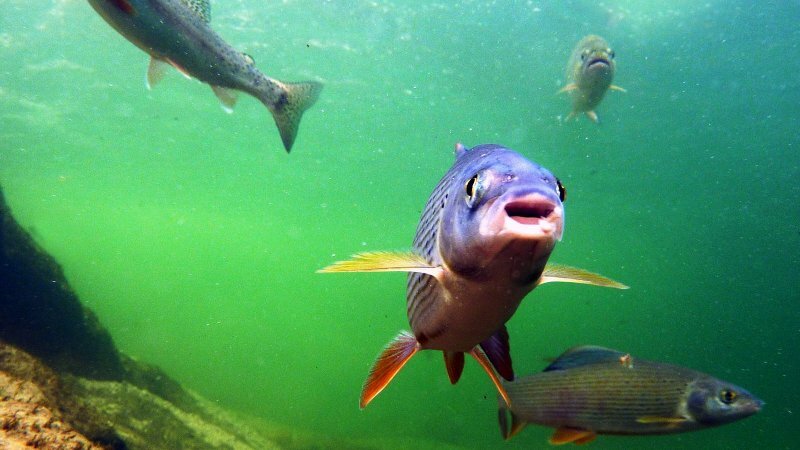 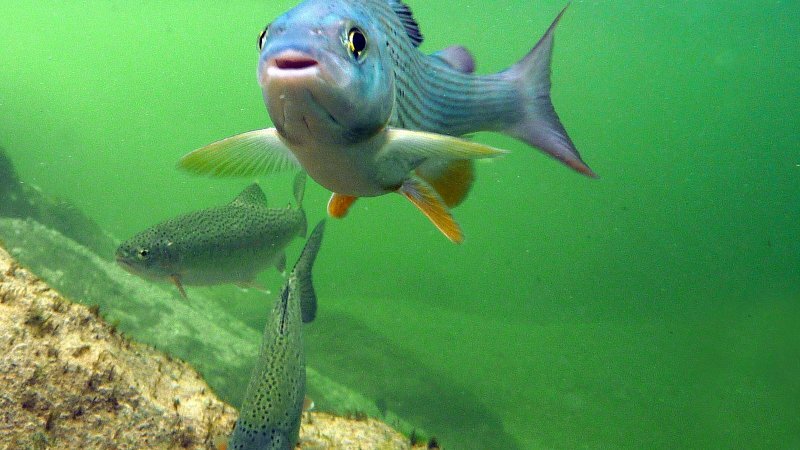 Dive into the stunning underwater world of the Hallstatt and Gosau lakes. 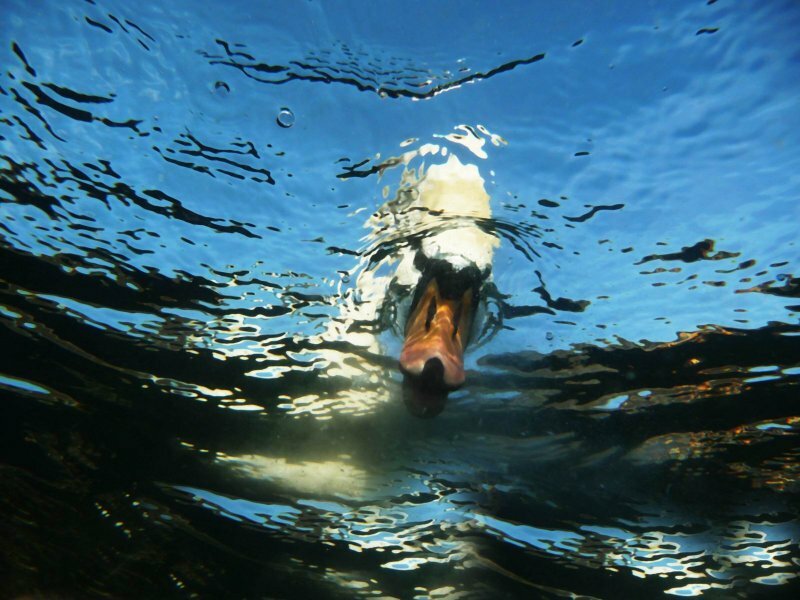 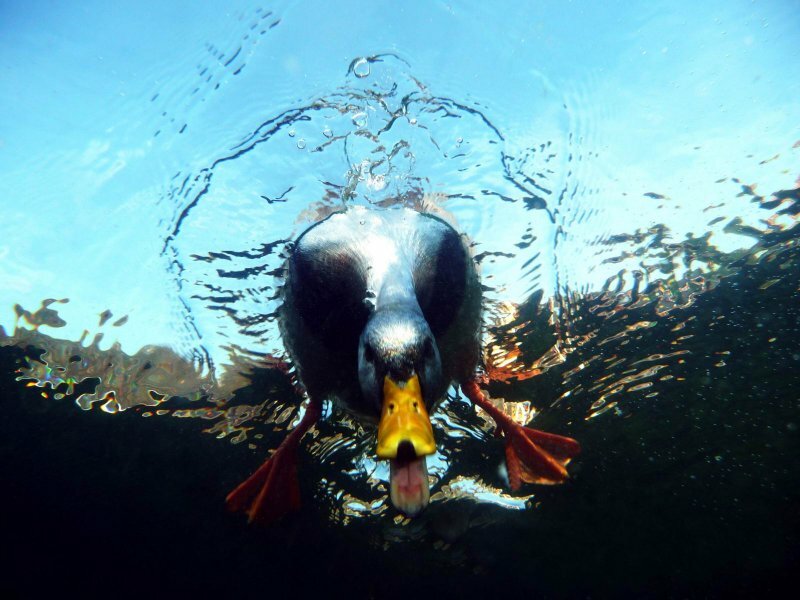 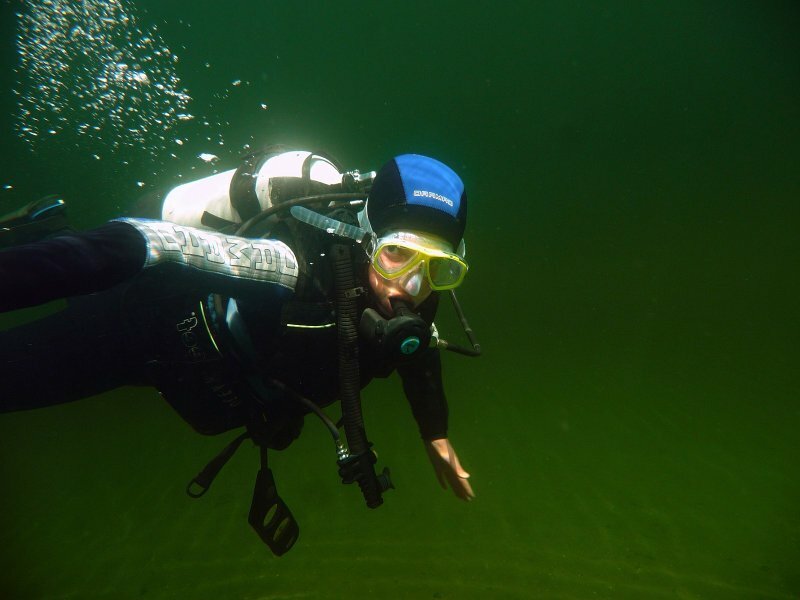 The best diving time for underwater photographers is from June to October, with September being the most beautiful dive month - at that time the fauna, around the fjord-like lakes, is at its highpoint and the water is still warm. 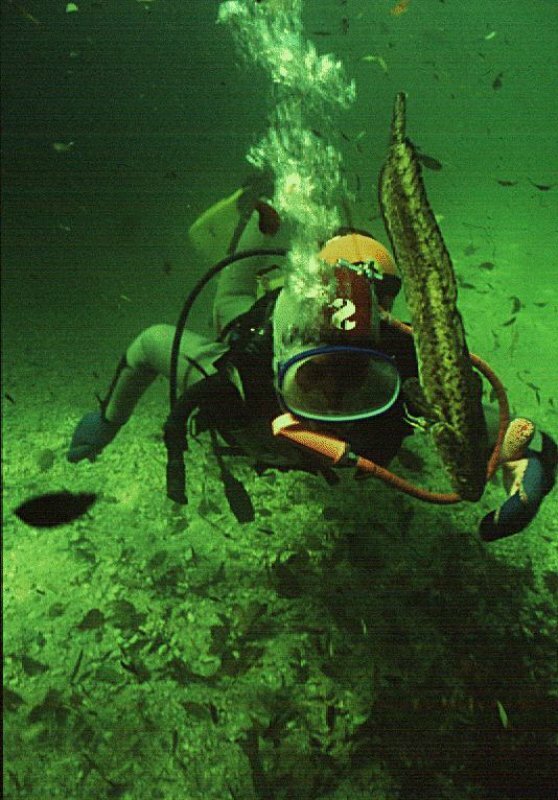 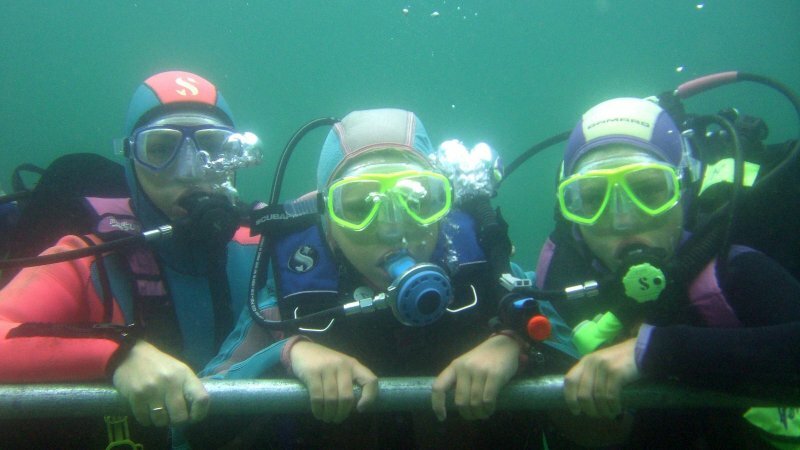 Diving on holiday offers an exciting opportunity to explore the underwater world in a special way. 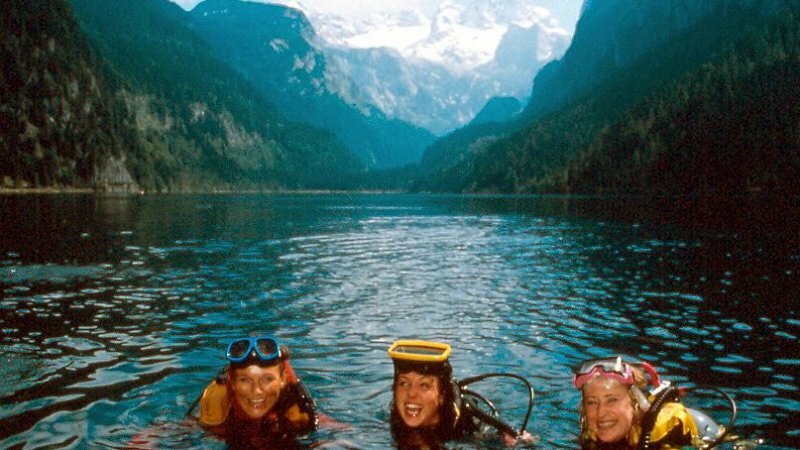 Silence, solitude and the exploration of hidden habitats, in the fjord-like Lake Hallstatt and crystal clear Lake Gosau, account for the fascination of this sport. 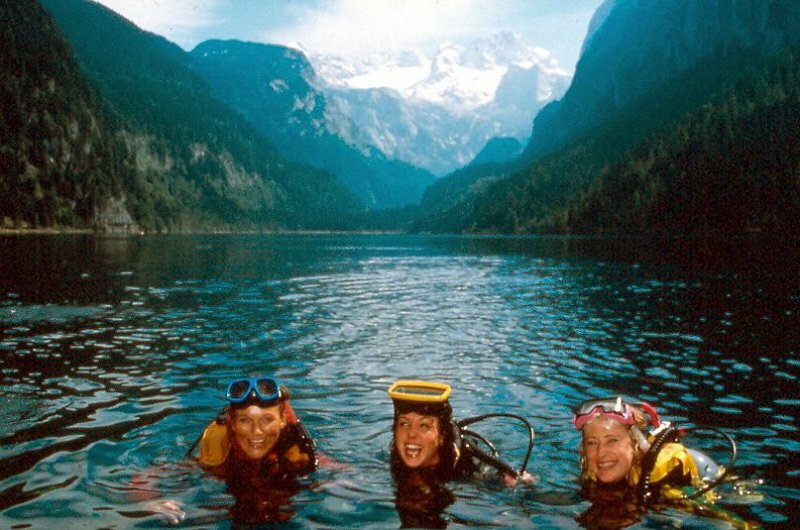 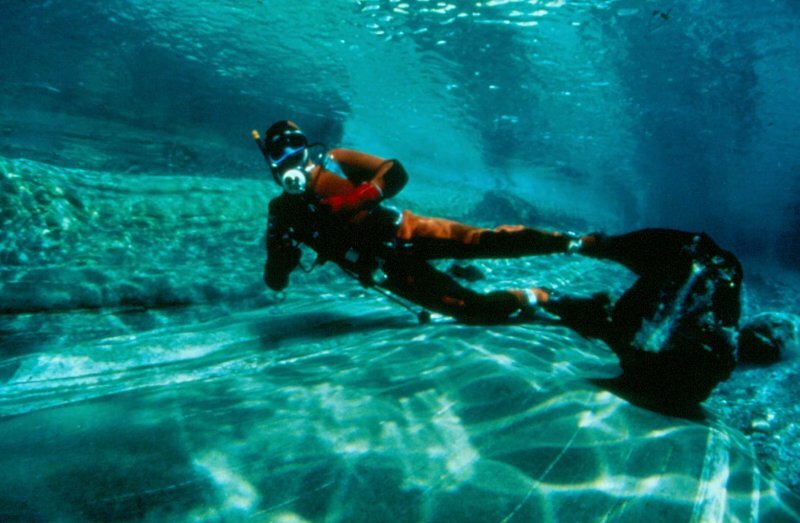 The “Vordere Gosausee”, which is 96 meters deep in the summer months, is particularly popular with recreational divers due to its incredible visibility. 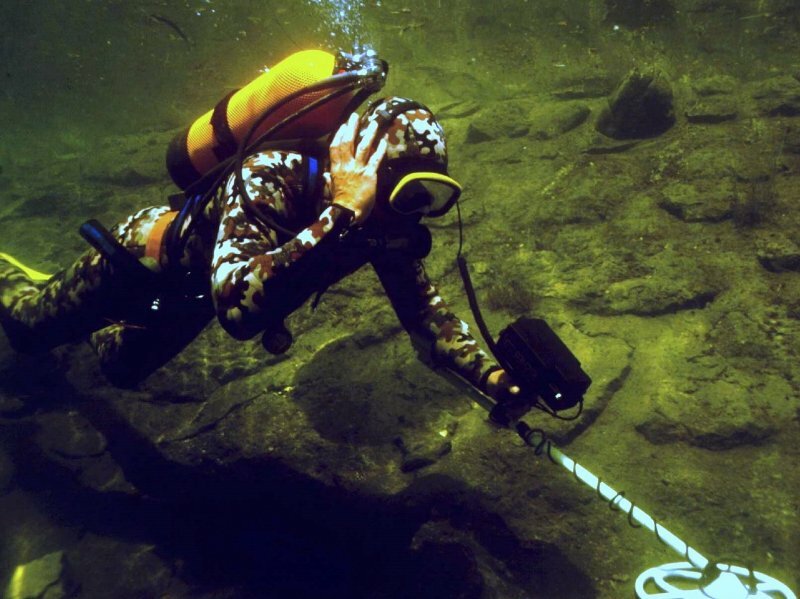 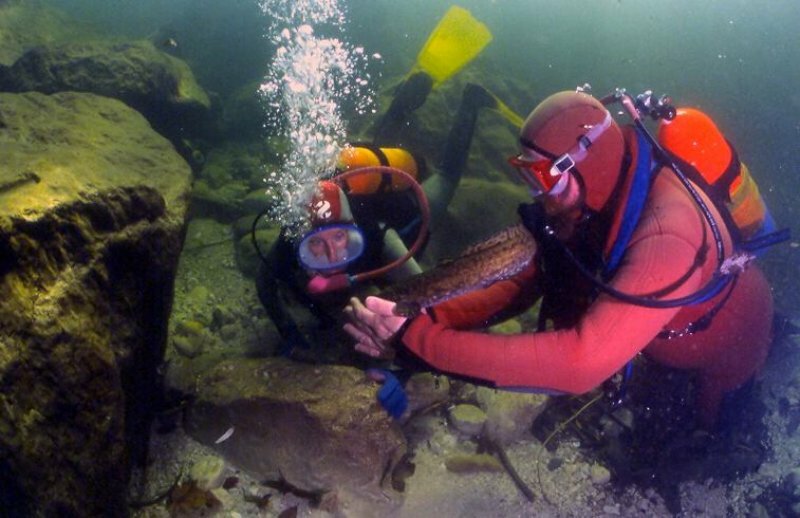 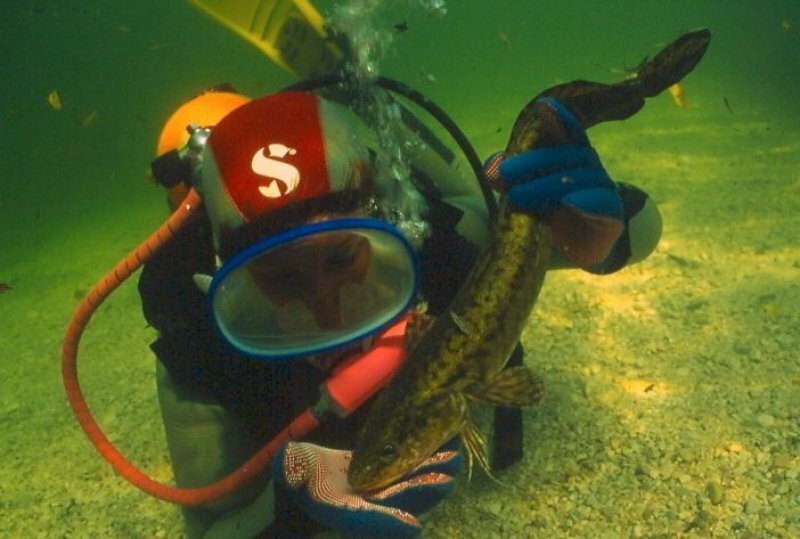 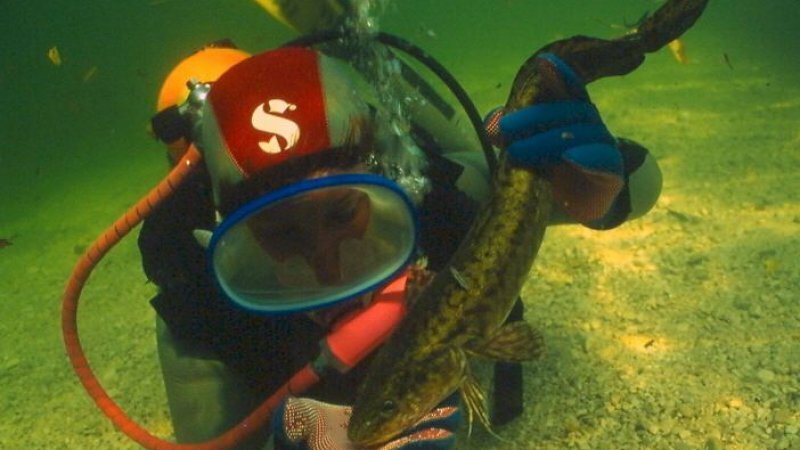 Almost everywhere one will encounter pike, whitefish, trout and many other fish species, or come across sunken "treasures". 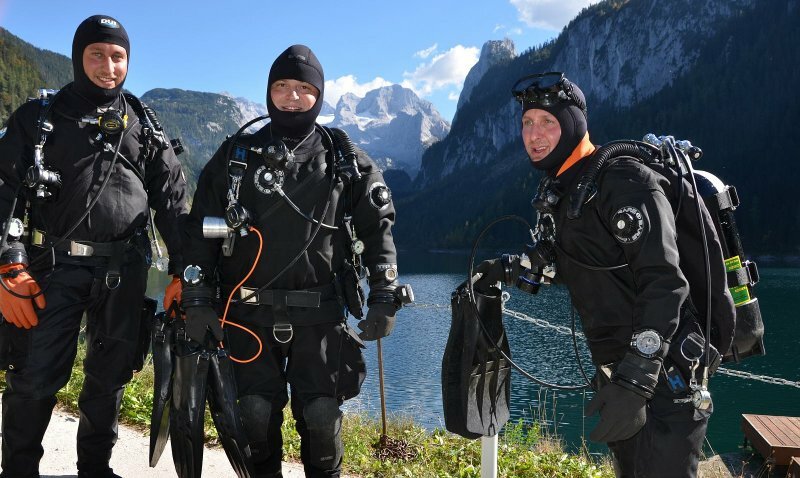 The diving instructors and guides, of the diving club Dachstein-Salzkammergut, can answer almost all divers’ questions. 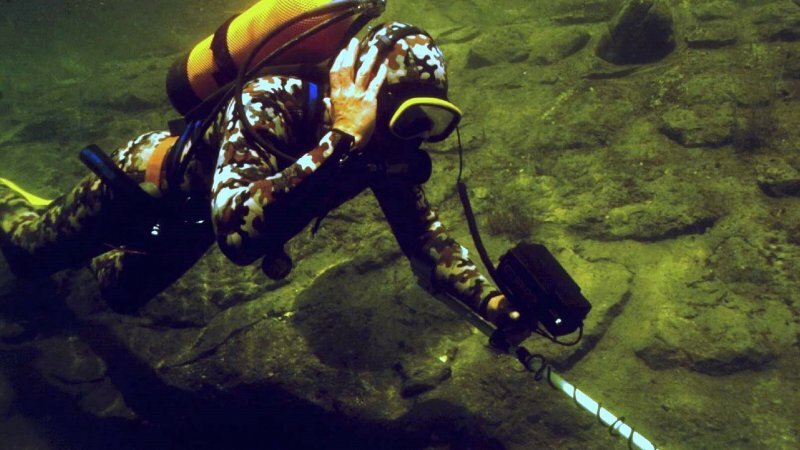 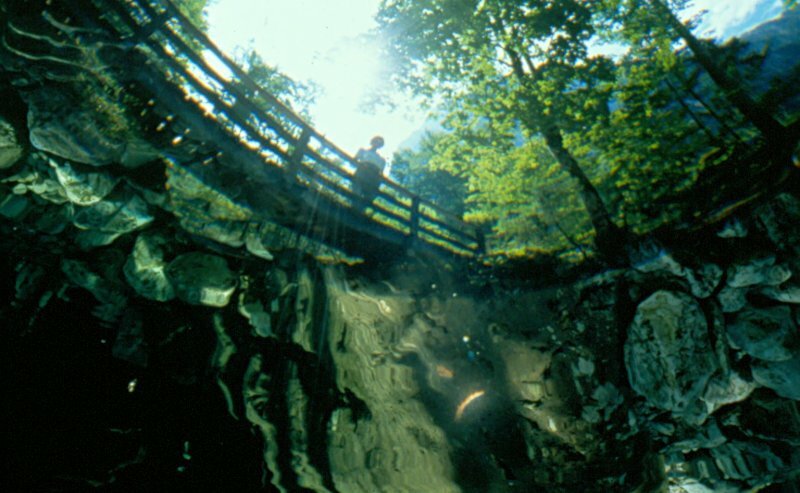 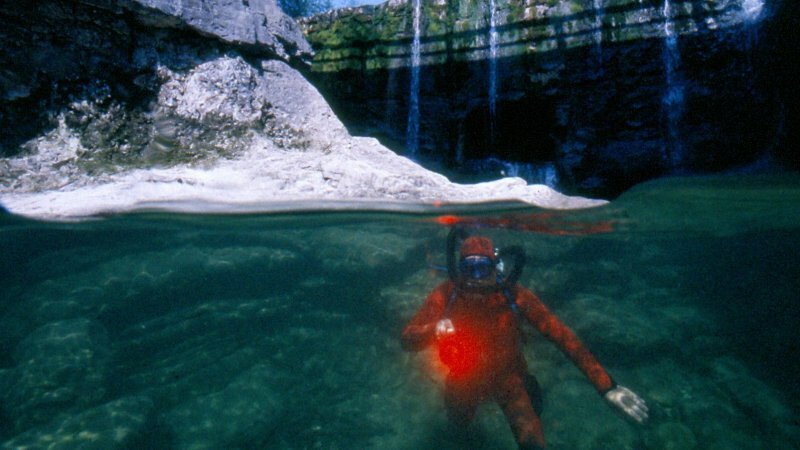 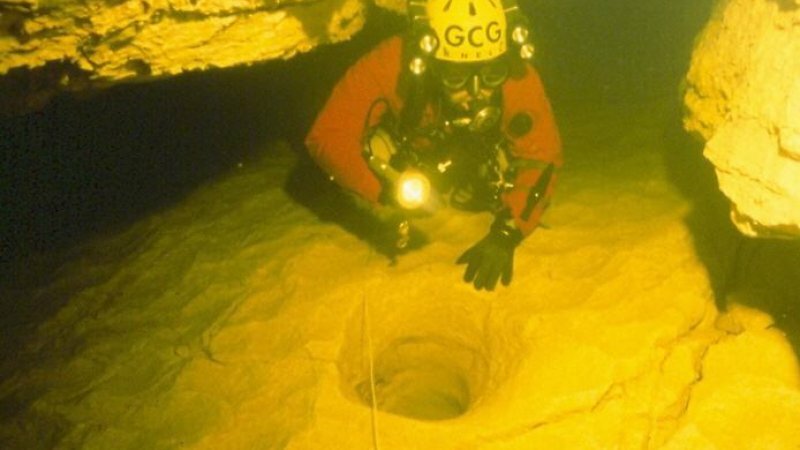 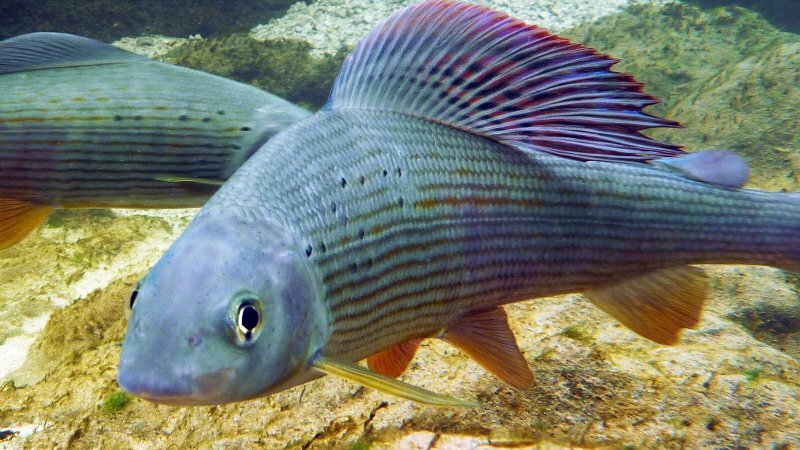 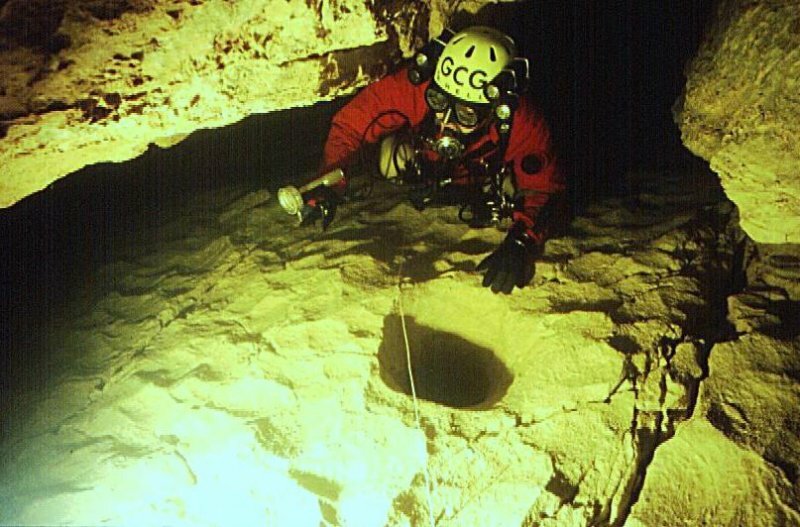 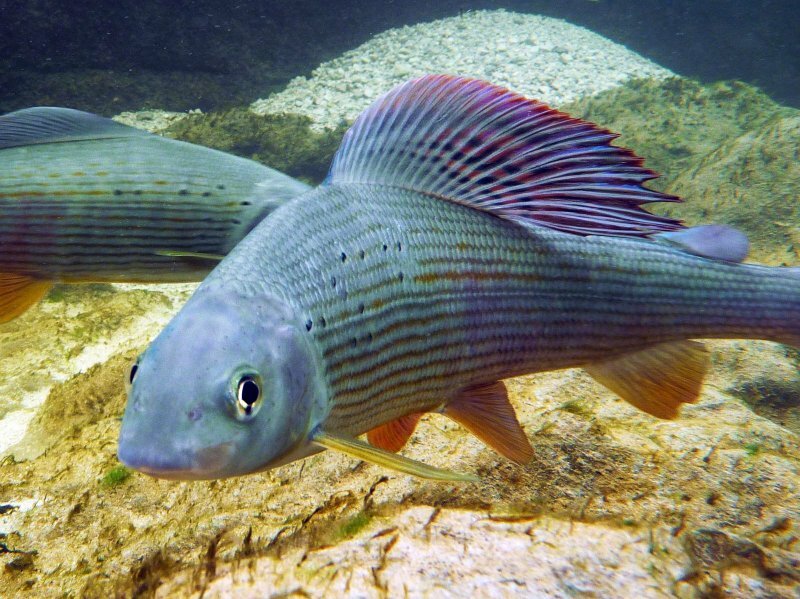 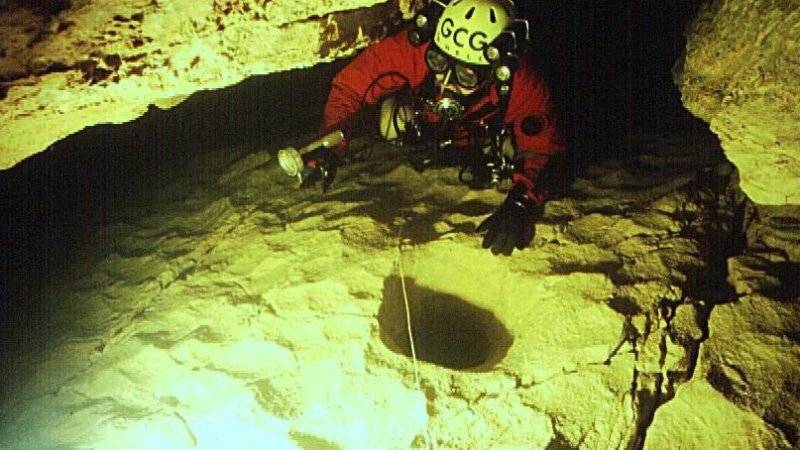 They know the best time to explore an underwater cave, when it is the most beautiful time to dive the fish-rich river waterfalls or where the most interesting dive sites are. 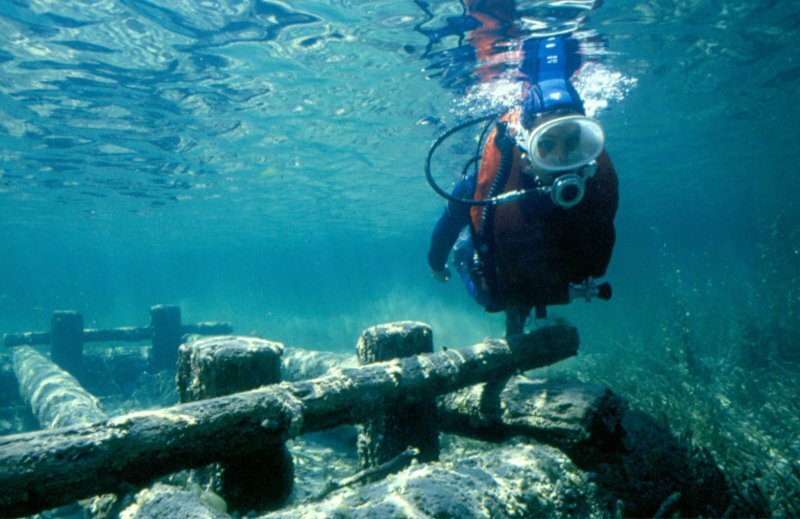 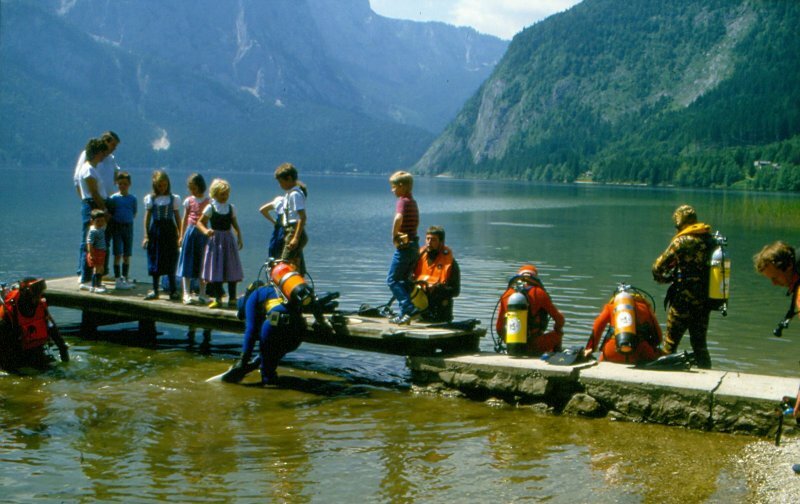 Dive into the 7,000 years history of the UNESCO World Heritage region of Hallstatt Dachstein Salzkammergut and enjoy the beauty of this unique cultural landscape above and below the water! 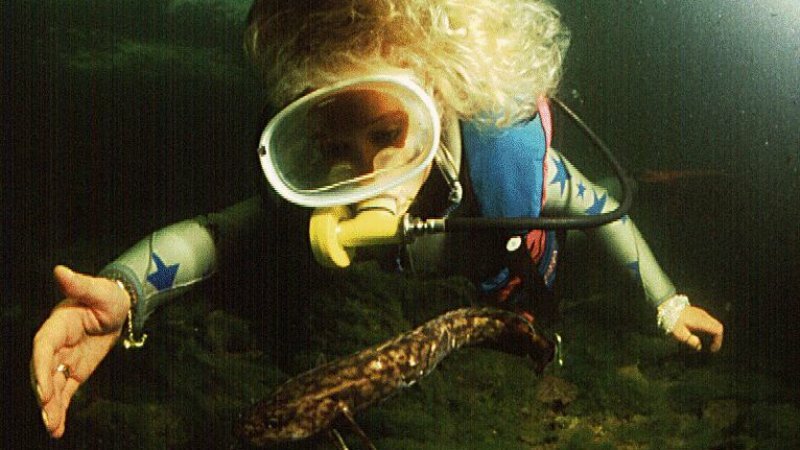 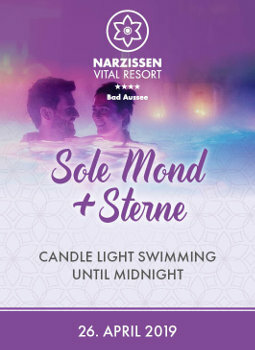 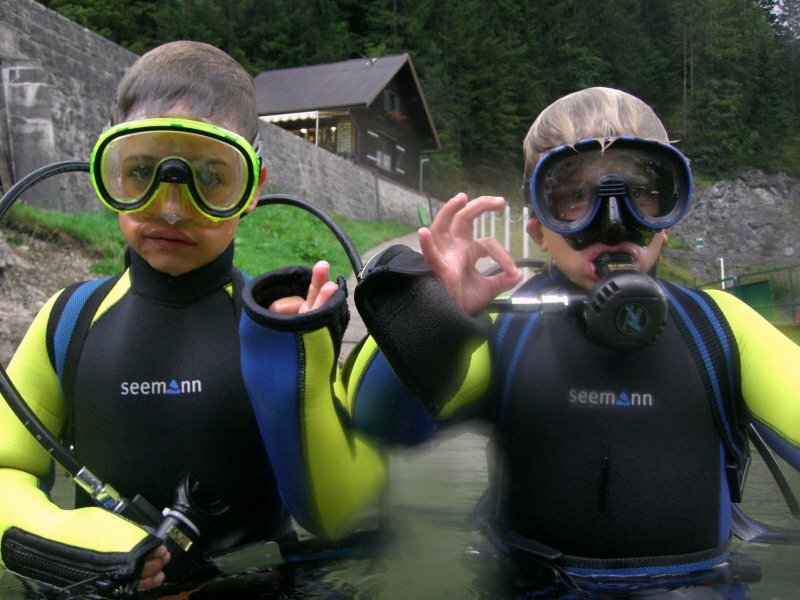 Also for your children, the holiday in the Salzkammergut should be a special experience and what child does not want to sometimes put their head under water and go on underwater treasure hunt? 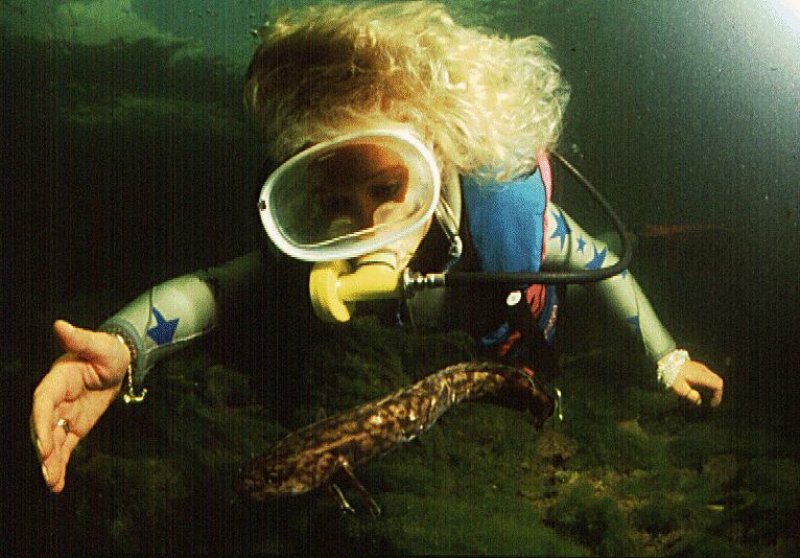 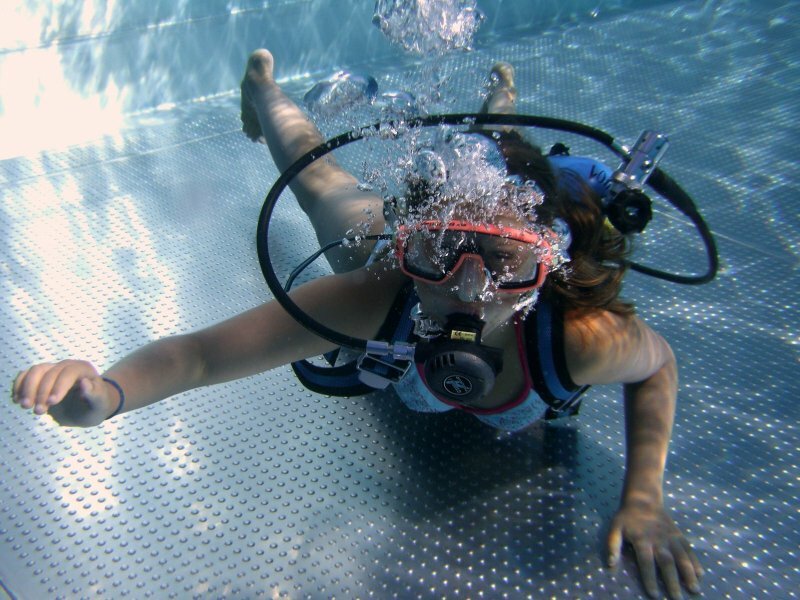 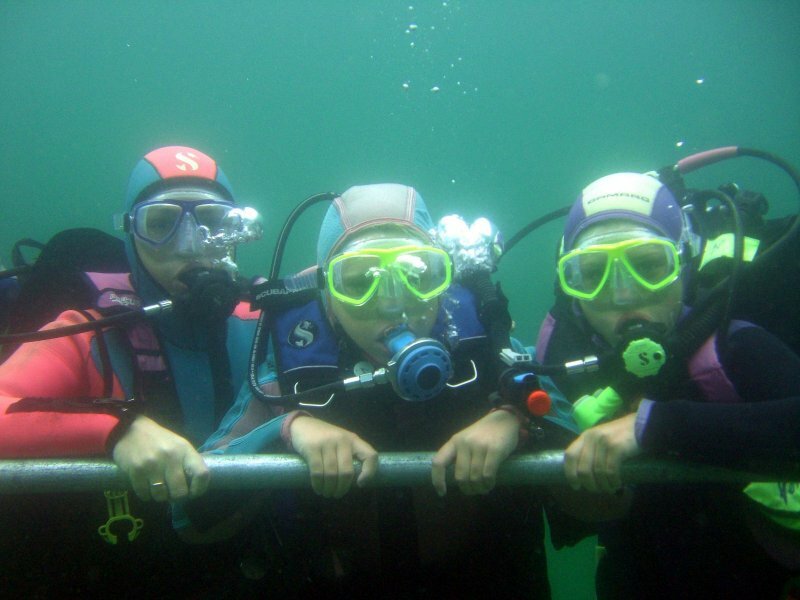 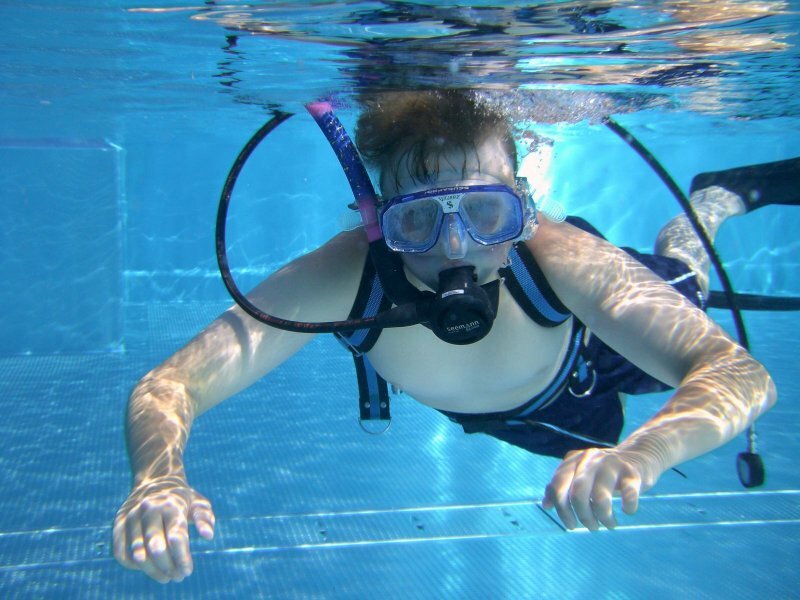 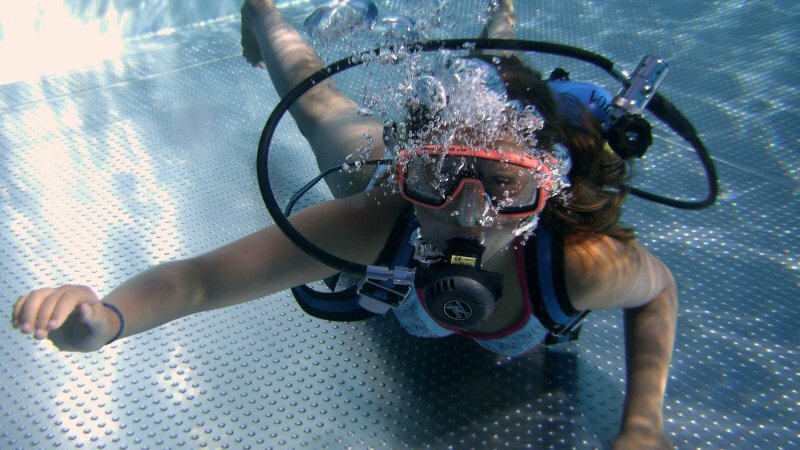 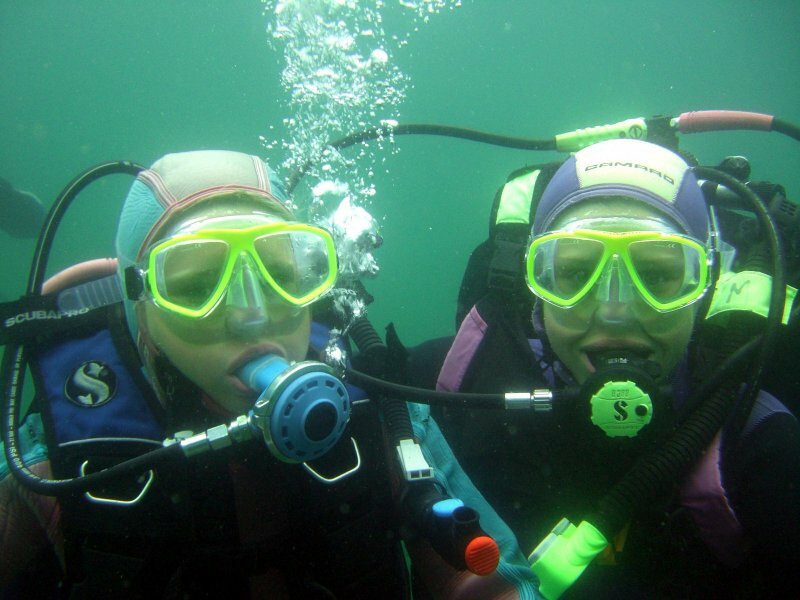 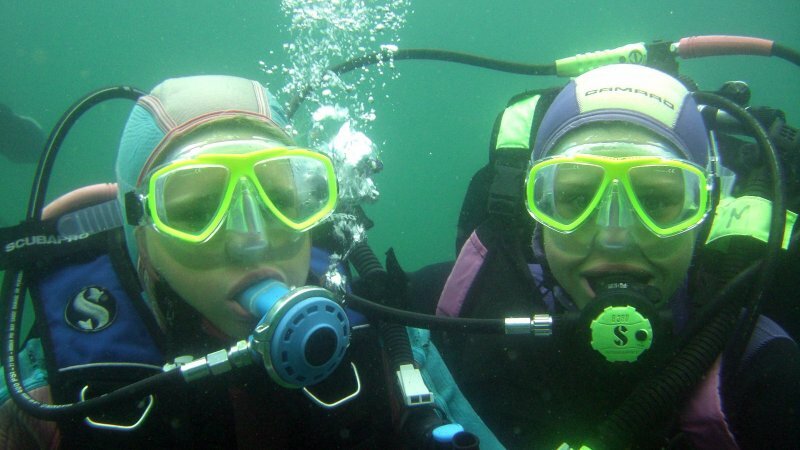 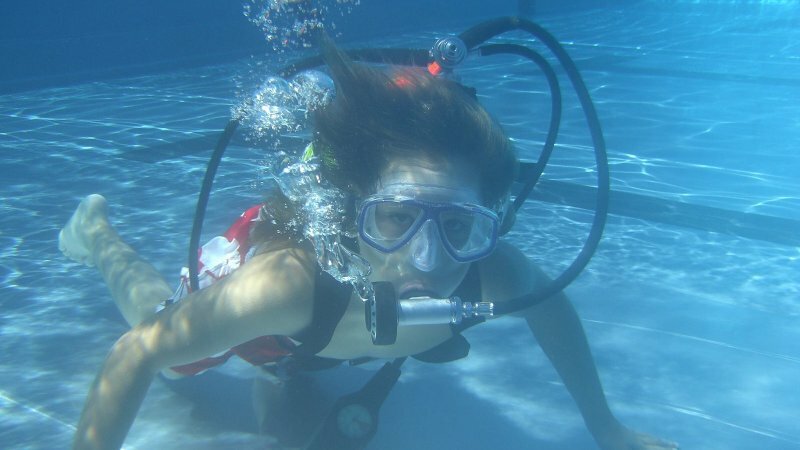 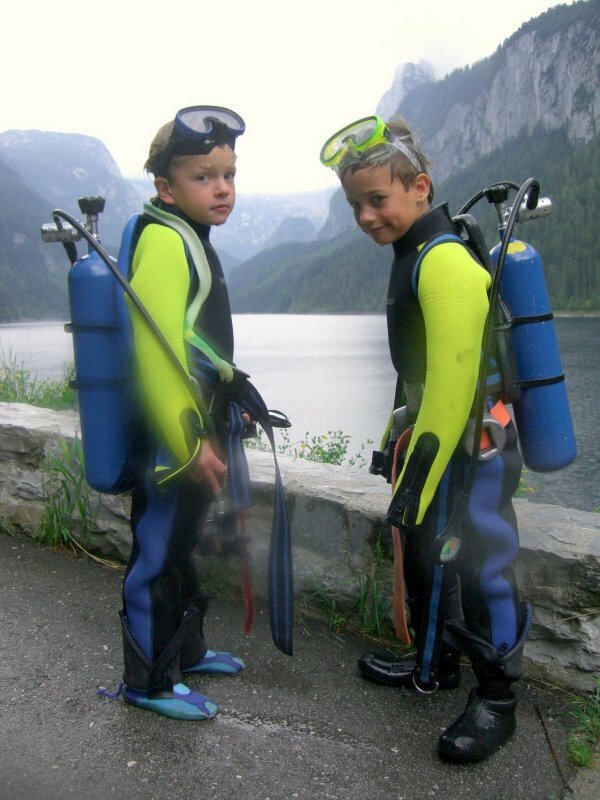 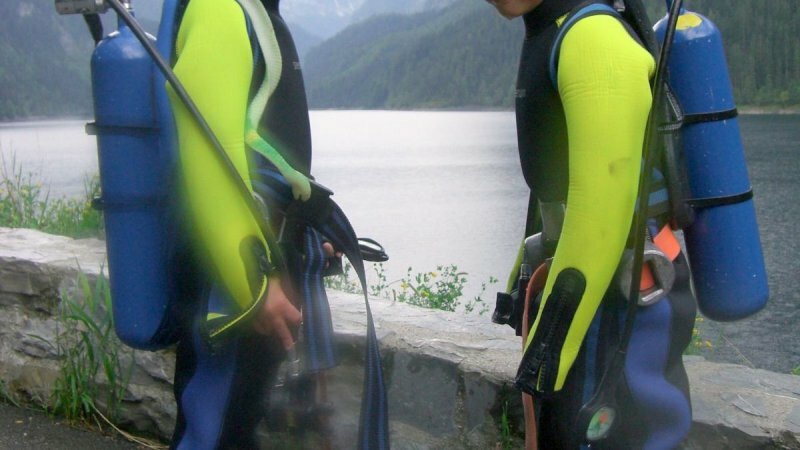 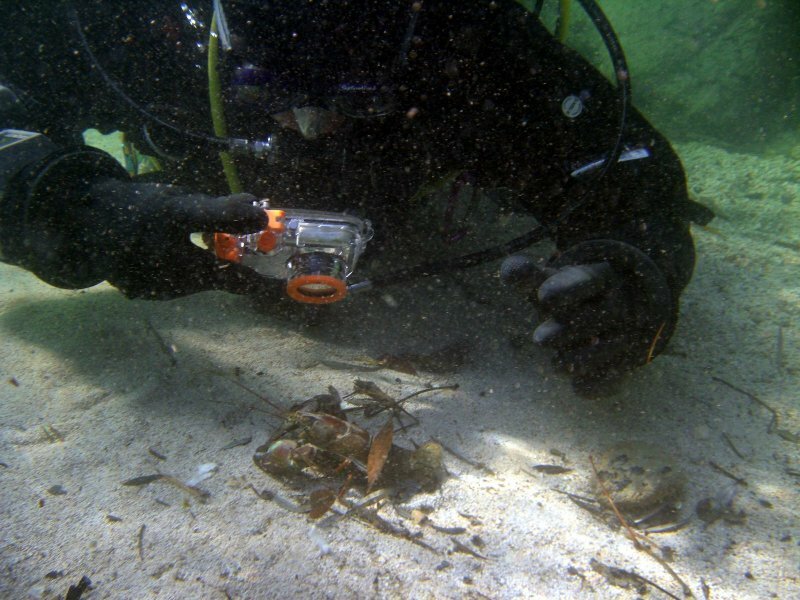 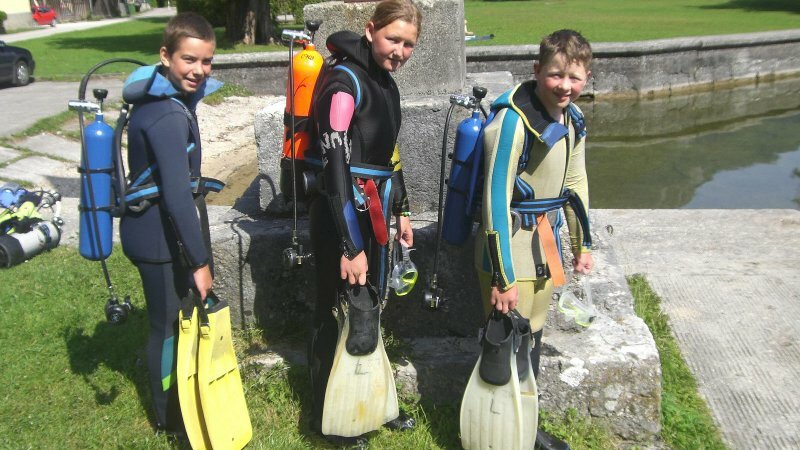 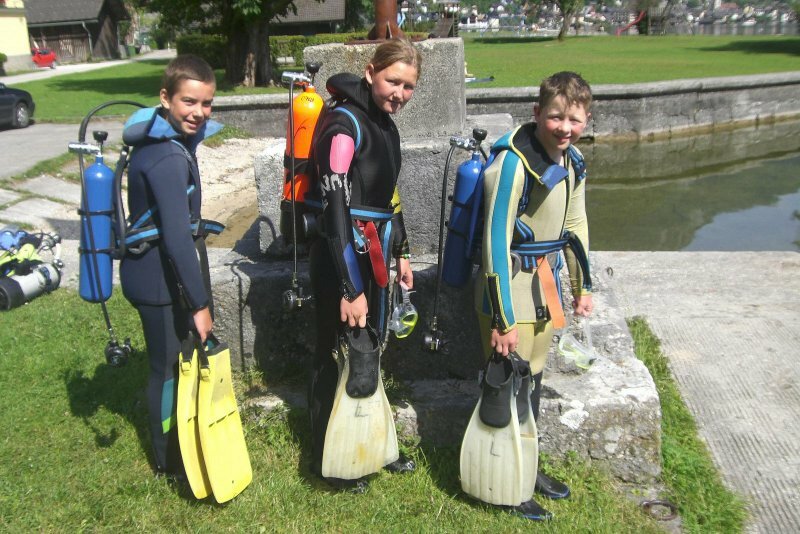 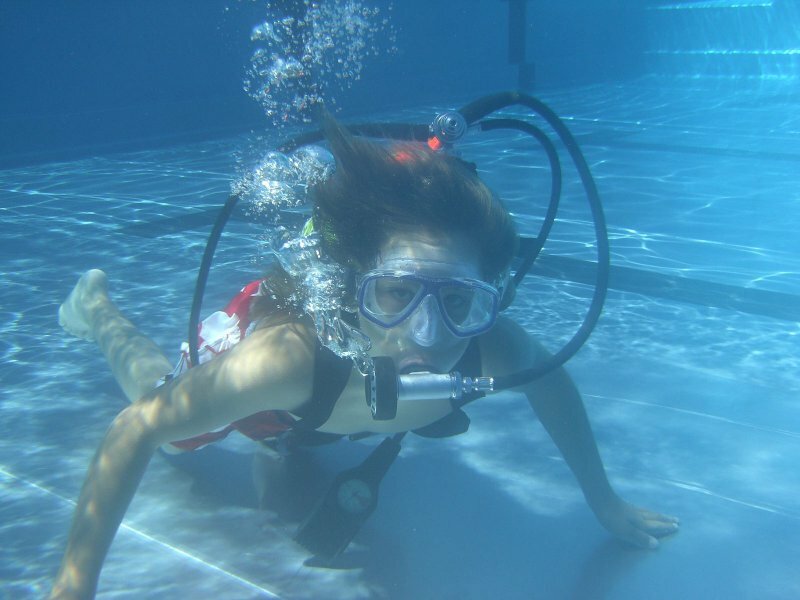 Therefore, the Dachstein-Salzkammergut diving club offers children’s diving courses in the Salzkammergut. 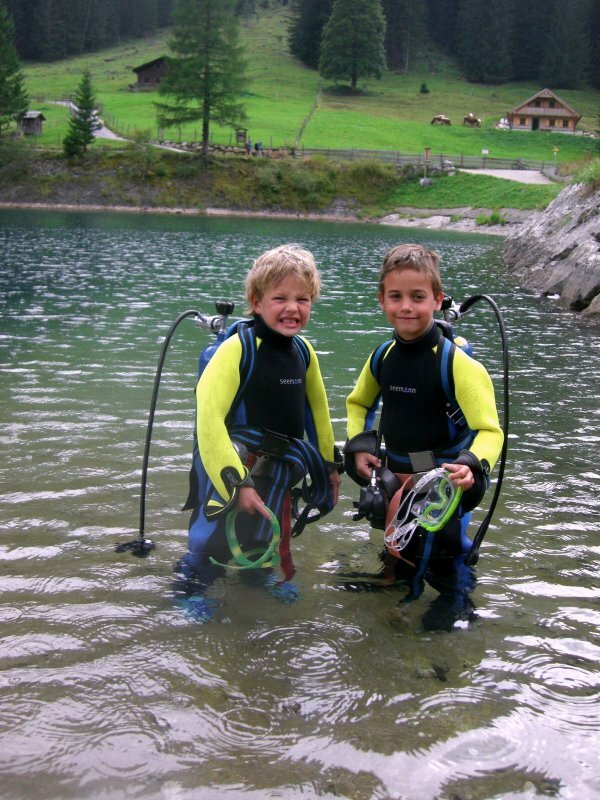 Children can start diving from the age of eight. 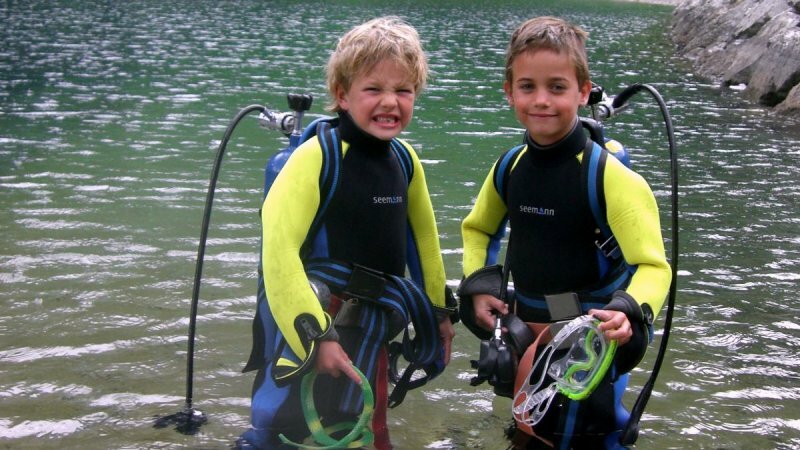 At the age of 10 they will receive their first "real" dive certification. 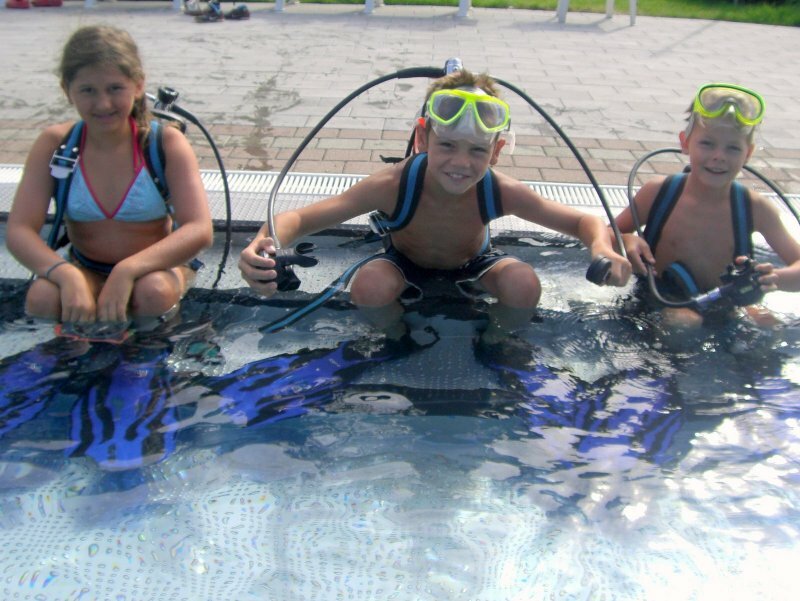 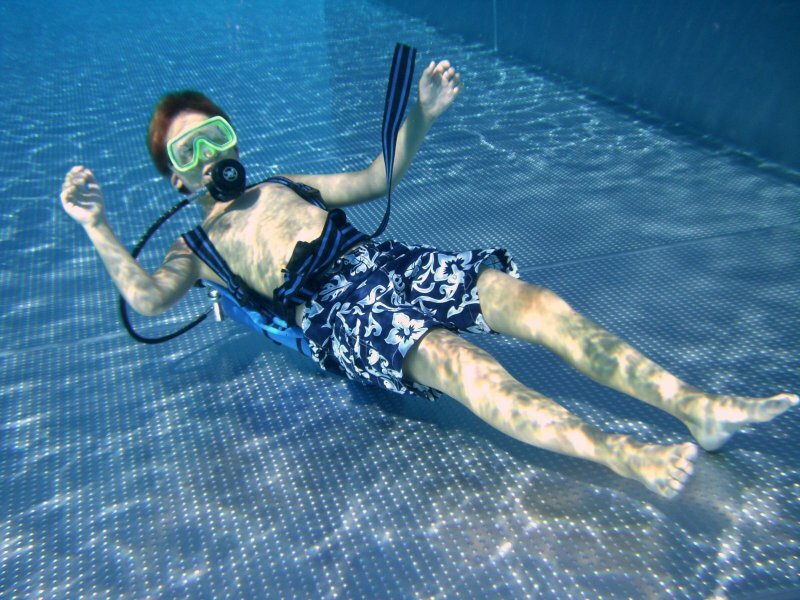 Specially trained instructors accompany your children on their way into Neptune's realm. 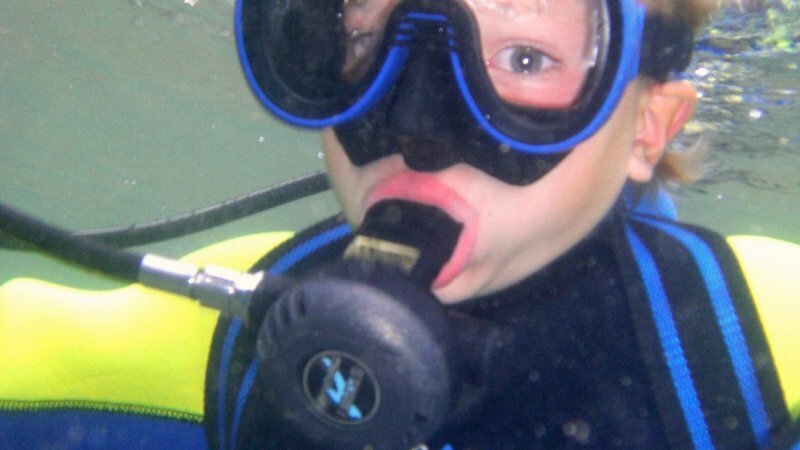 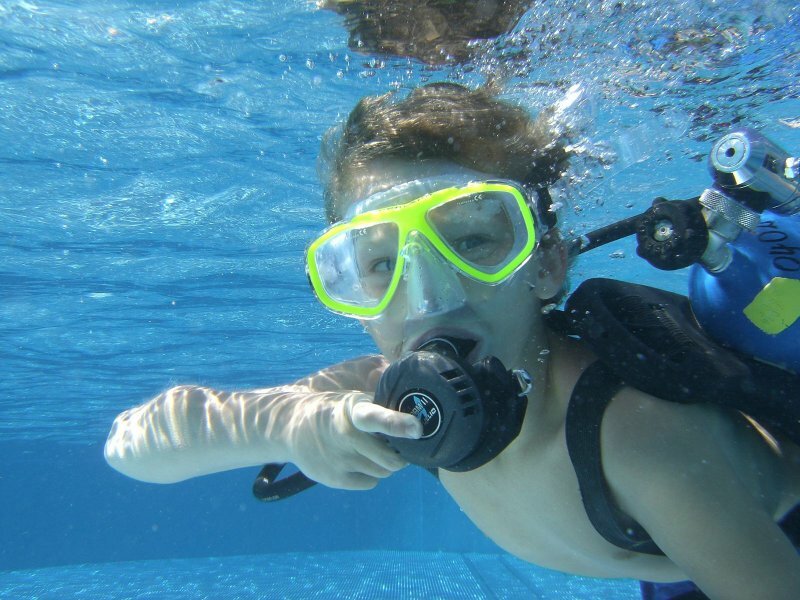 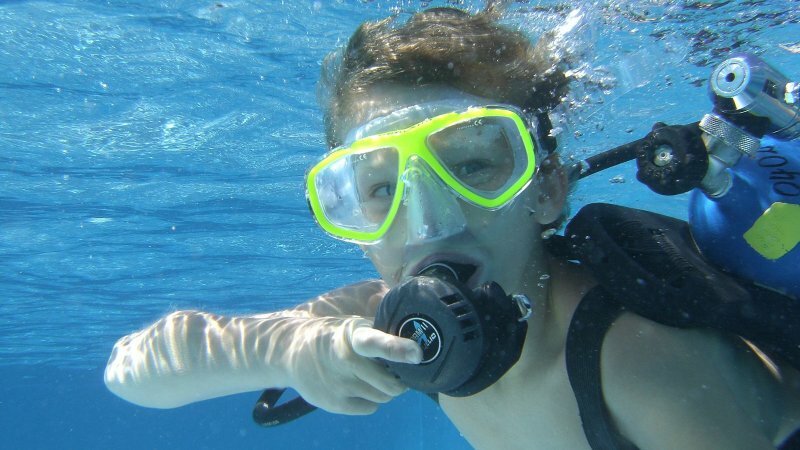 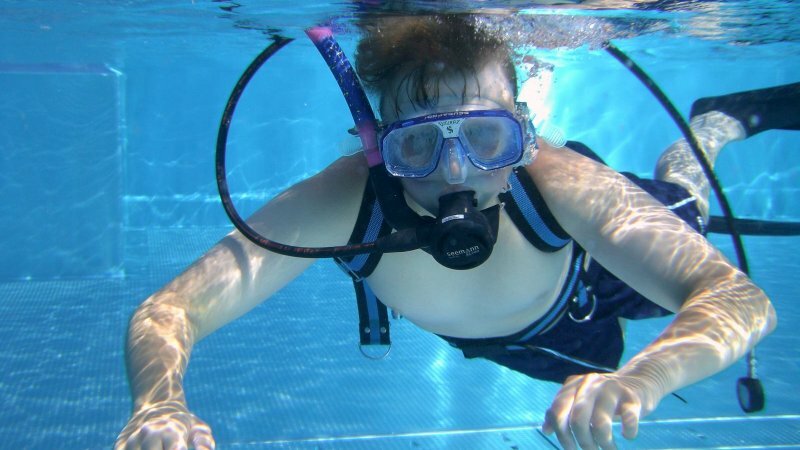 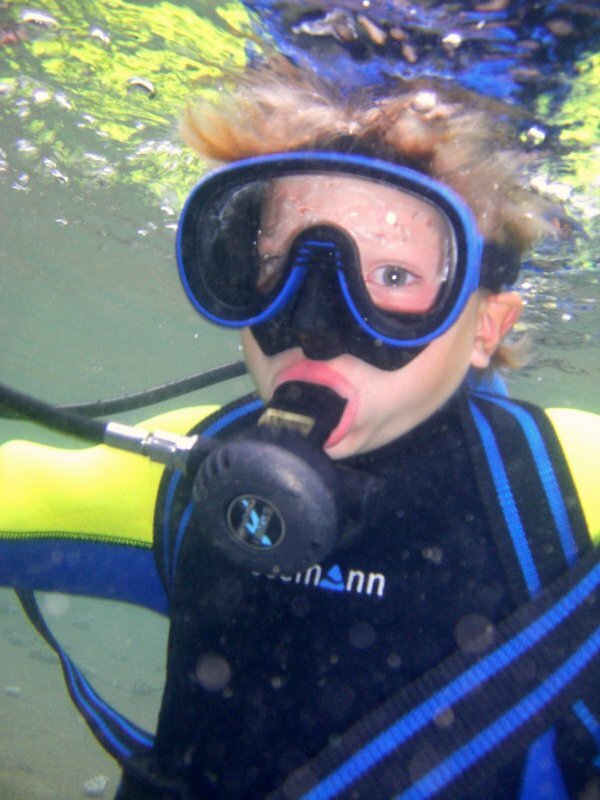 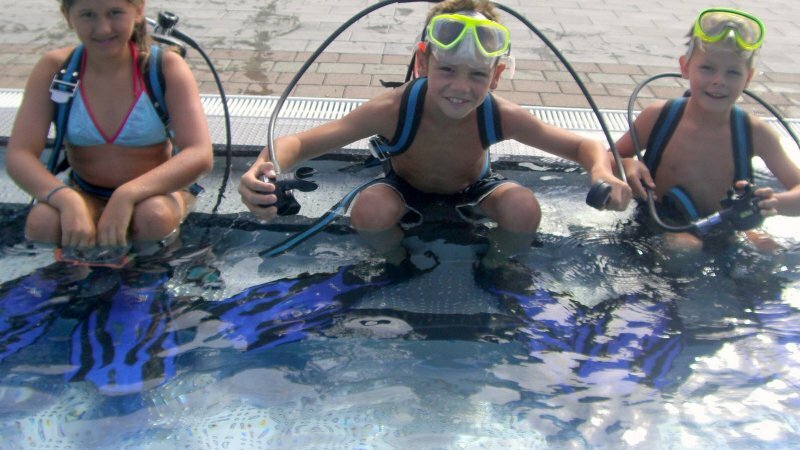 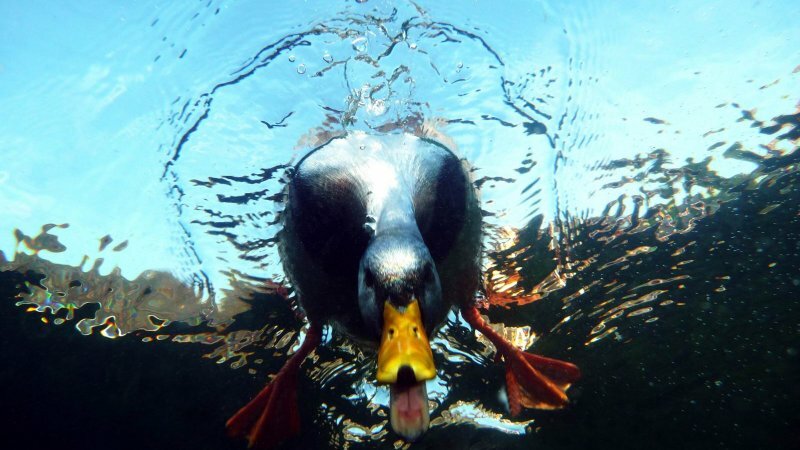 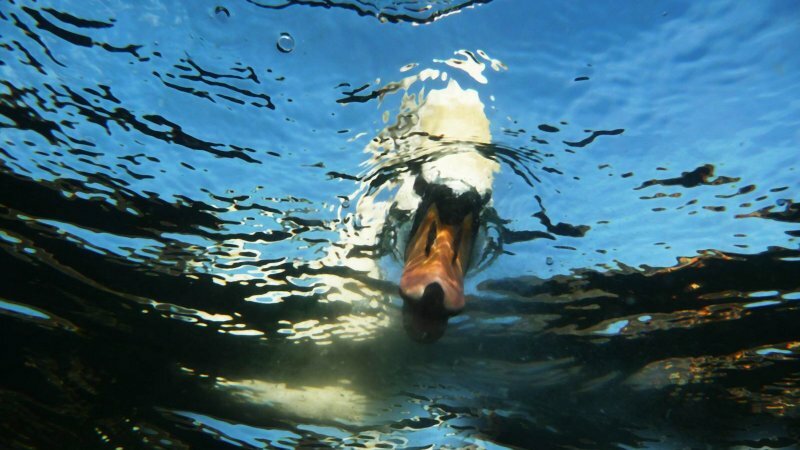 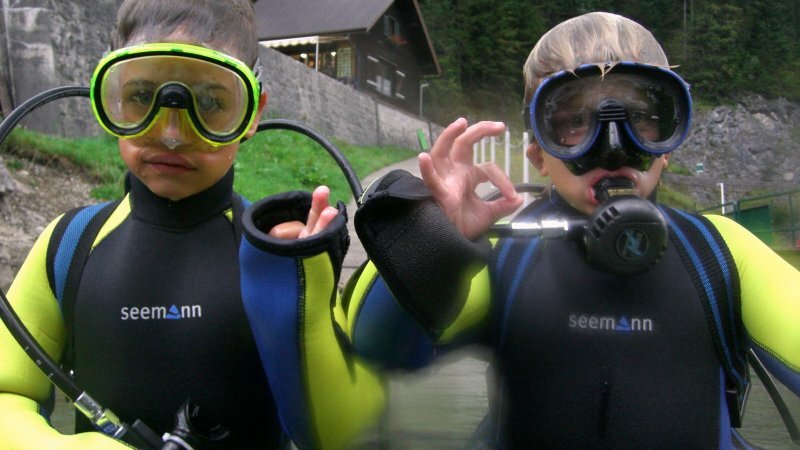 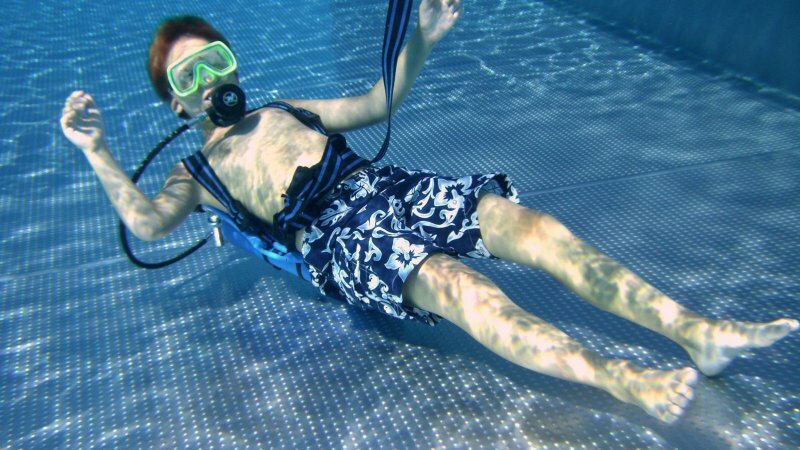 Therefore your kids are in the best hands, both above and below the water during a diving holiday in the Salzkammergut. 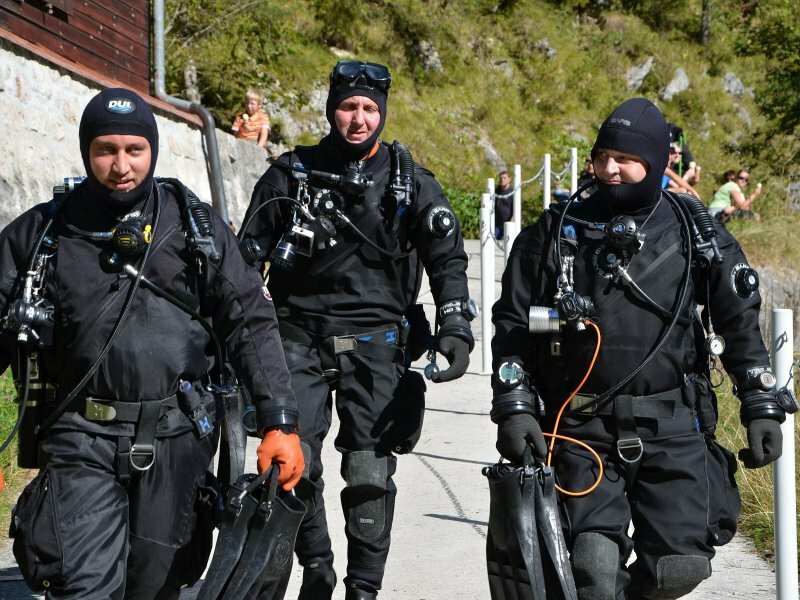 For further information, contact the Dachstein-Salzkammergut diving club on 0664 88600481 and of course you can find detailed information under www.dive-adventures.at. 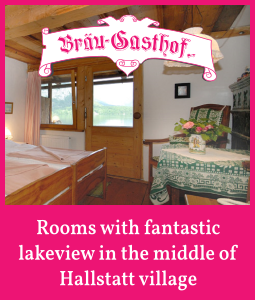 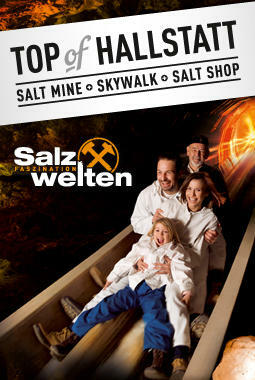 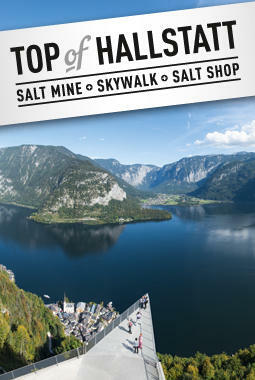 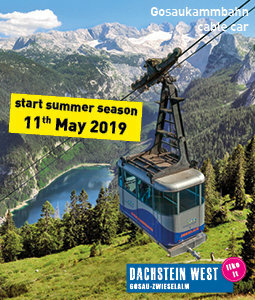 Grab your mobile phone today and bestow your child an unforgettable holiday in the Salzkammergut! 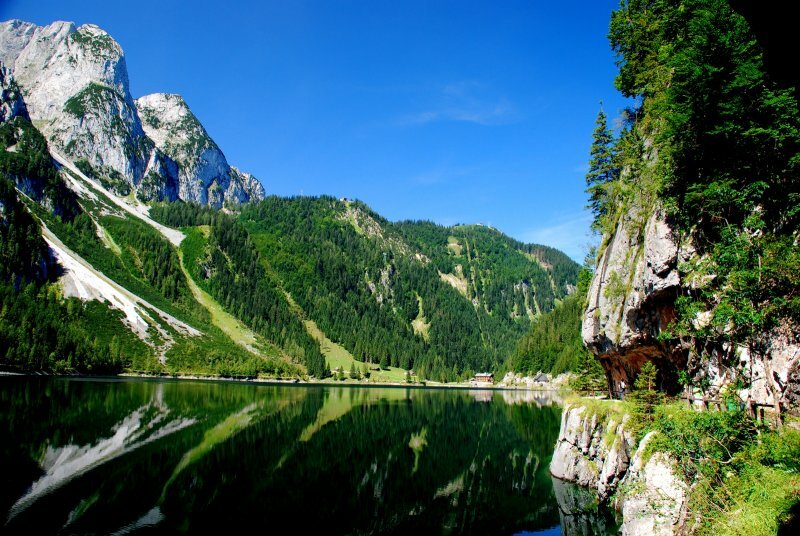 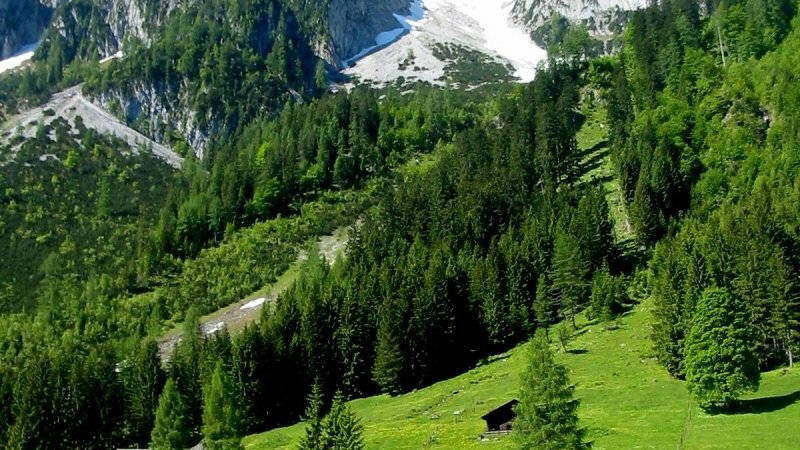 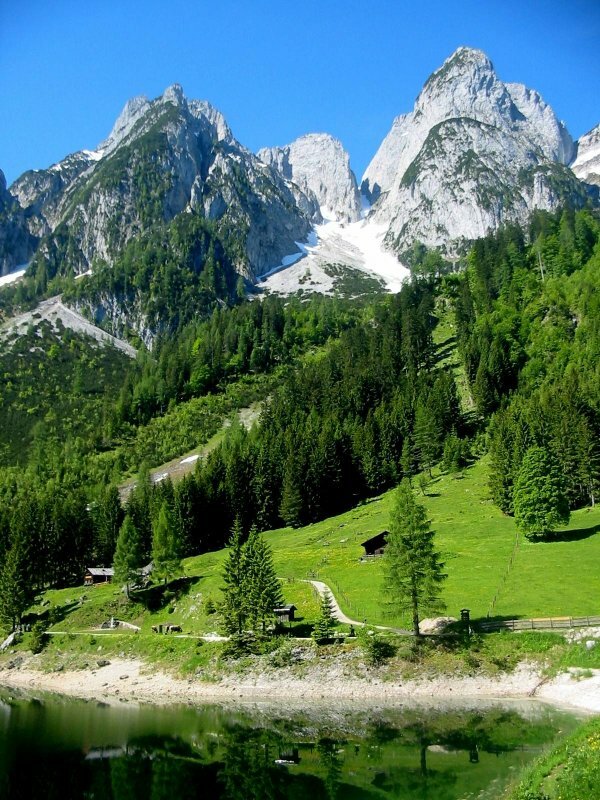 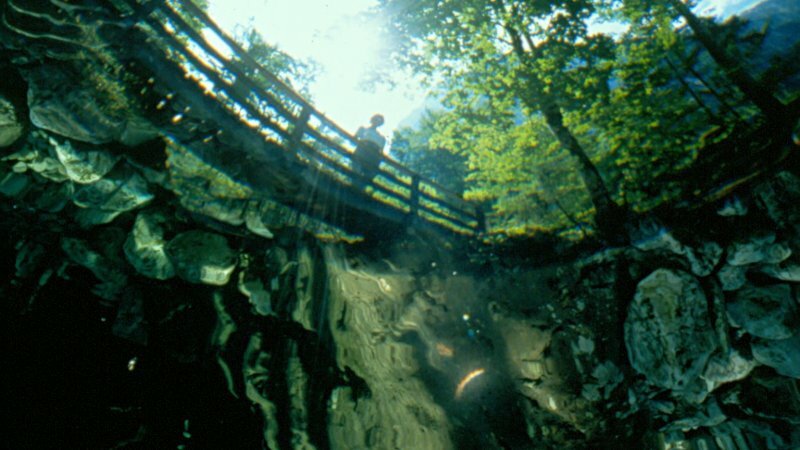 The hiking paradise Salzkammergut also provides some very special challenges. 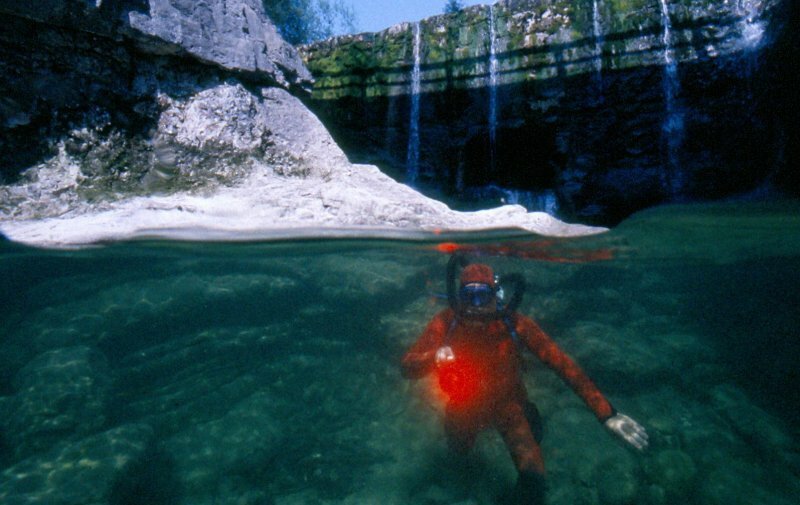 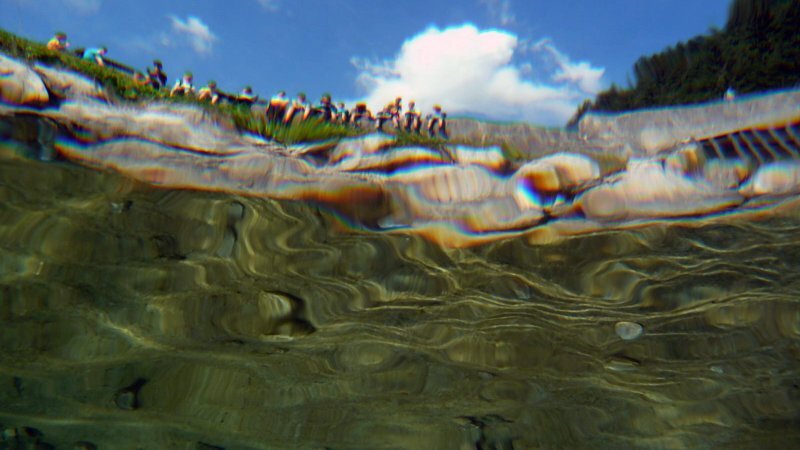 If you hike around the Limbach cascades near Lake Attersee, you should always haue your diving mask to hand. 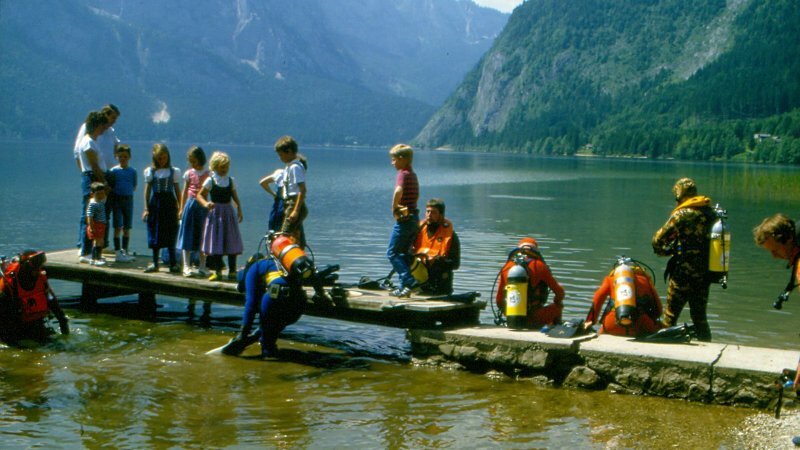 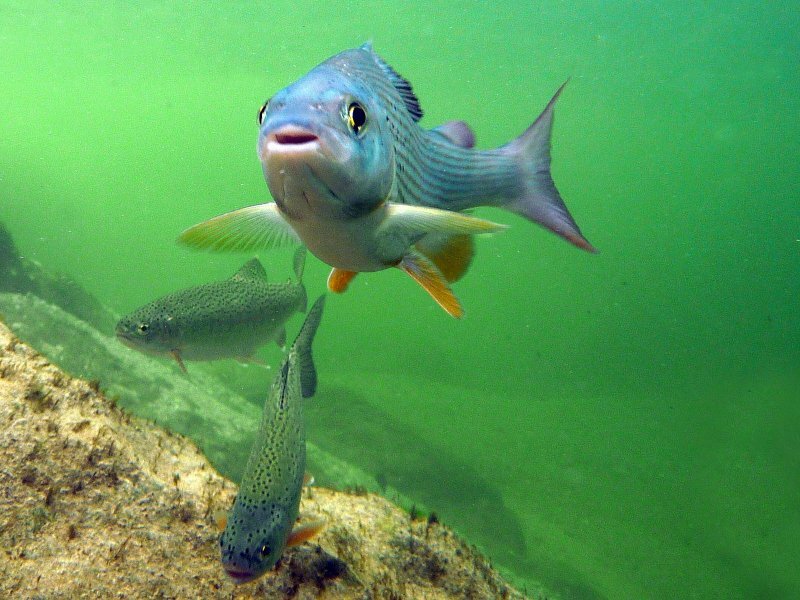 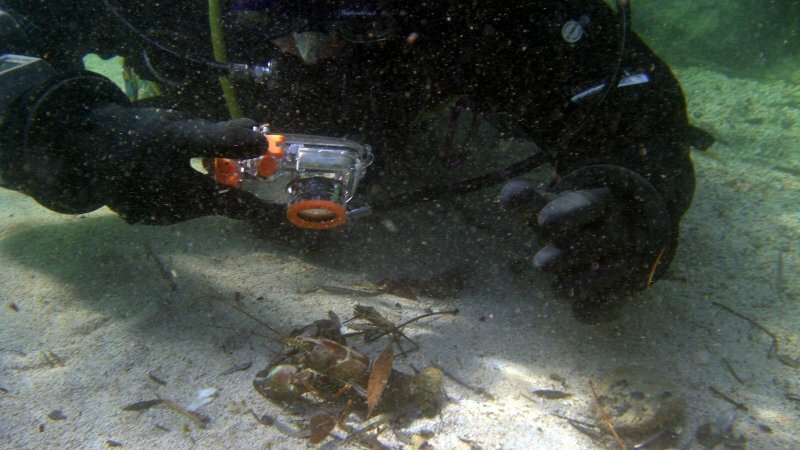 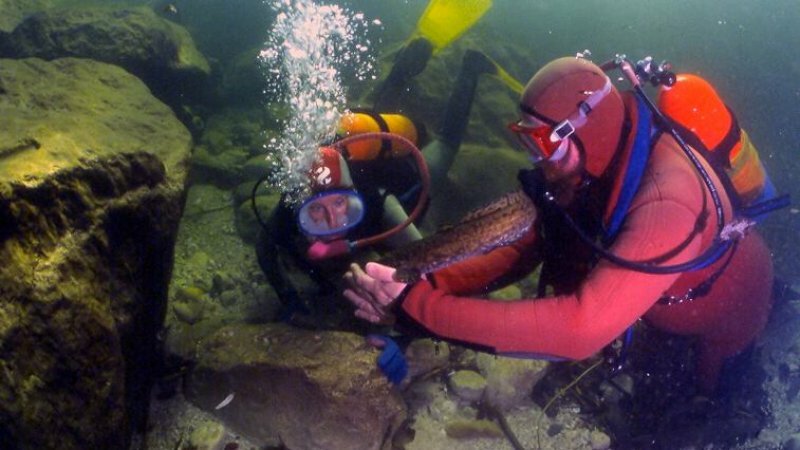 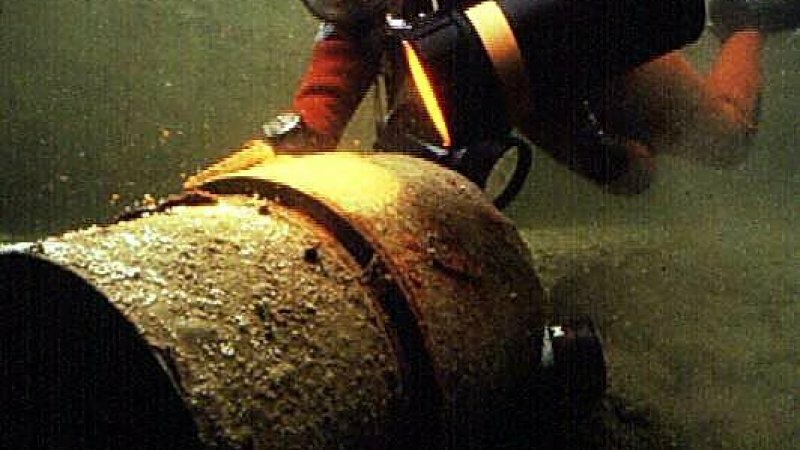 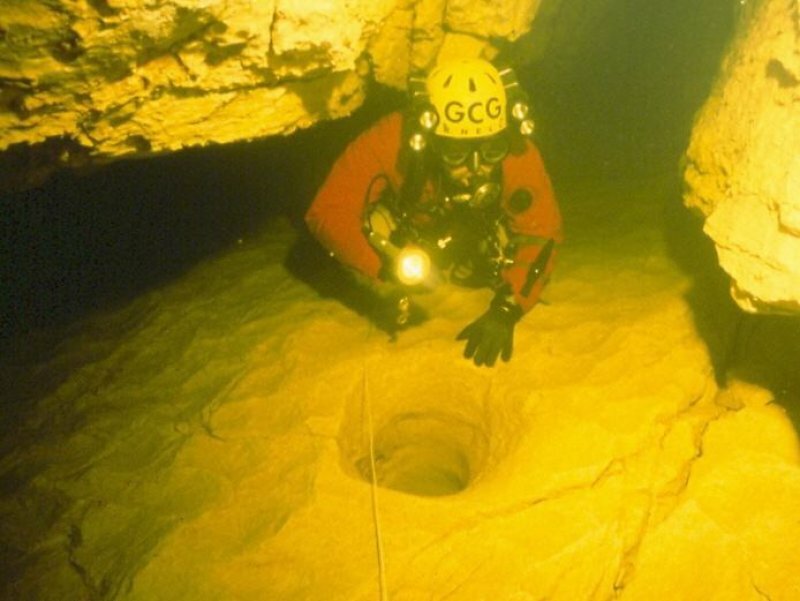 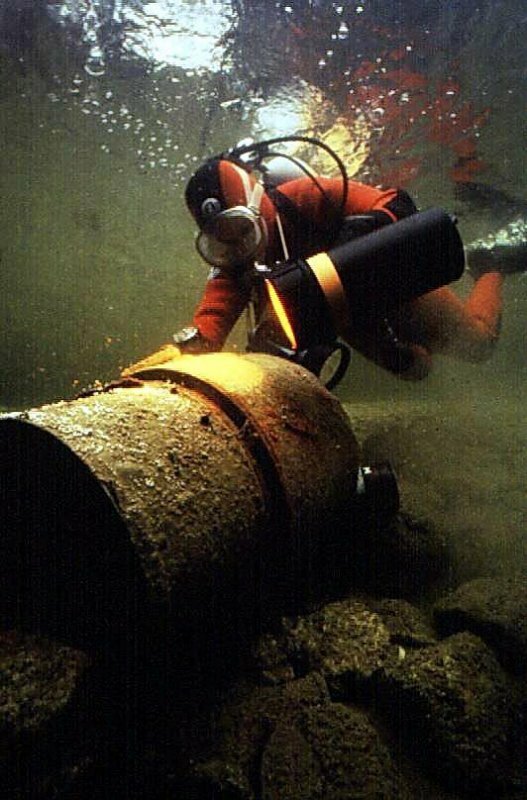 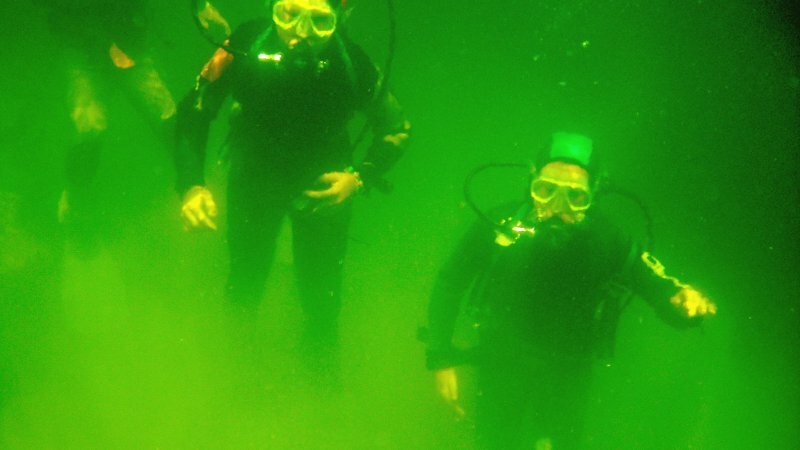 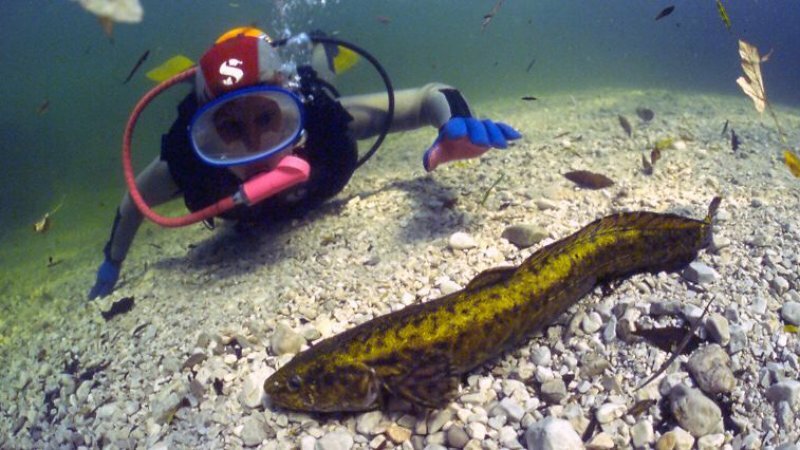 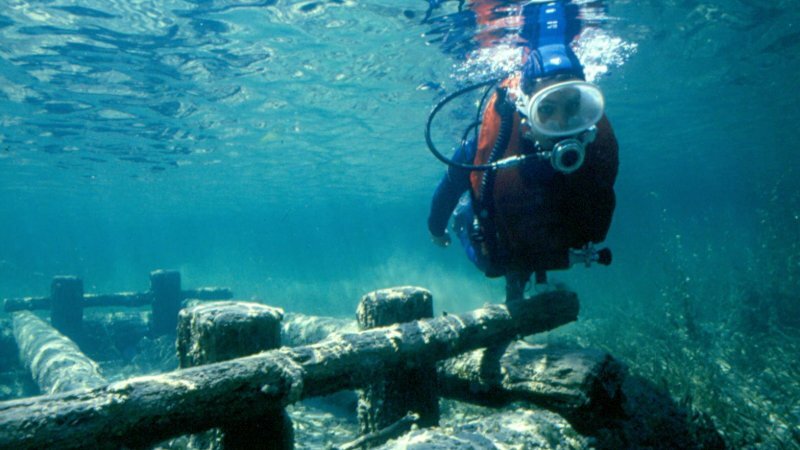 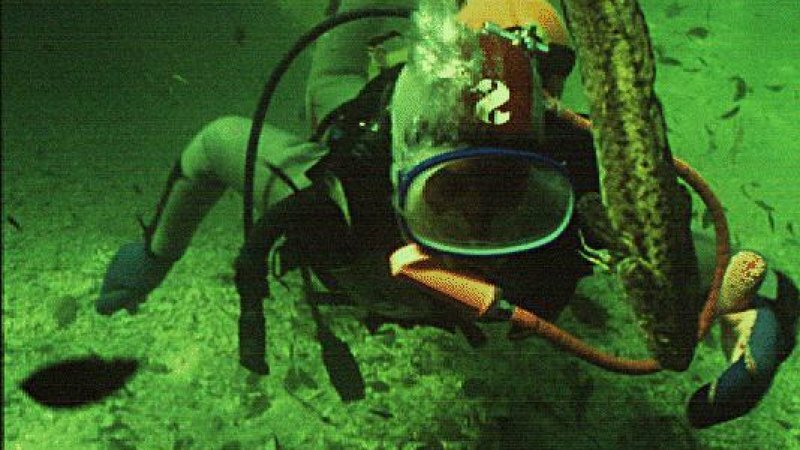 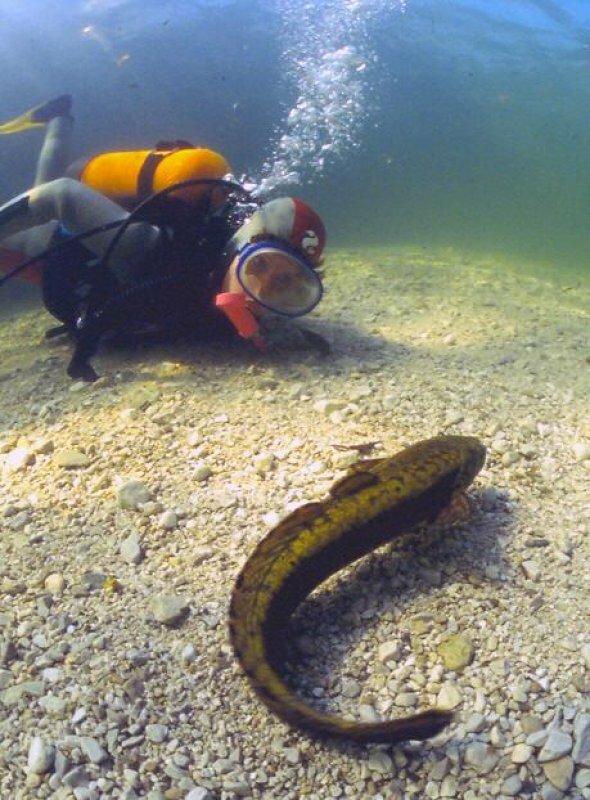 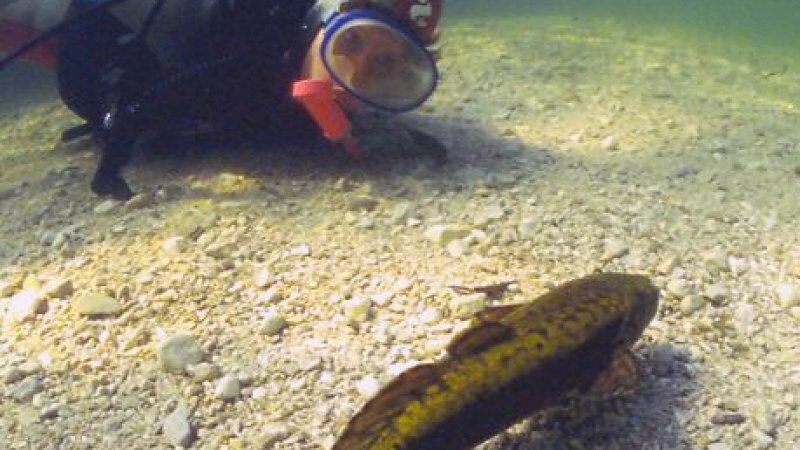 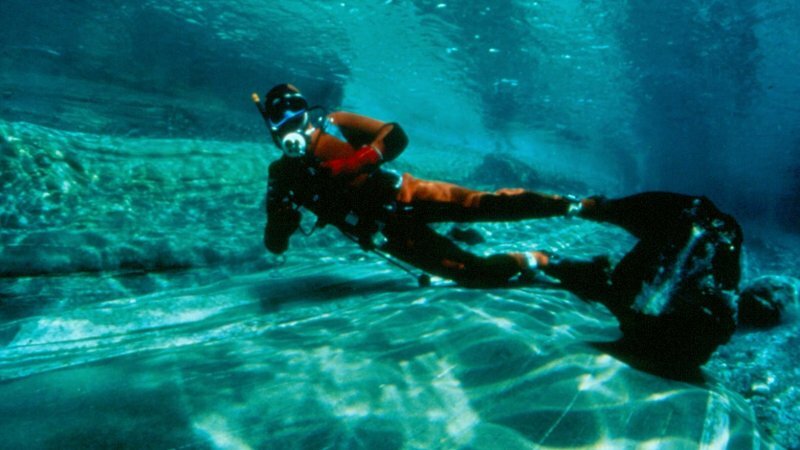 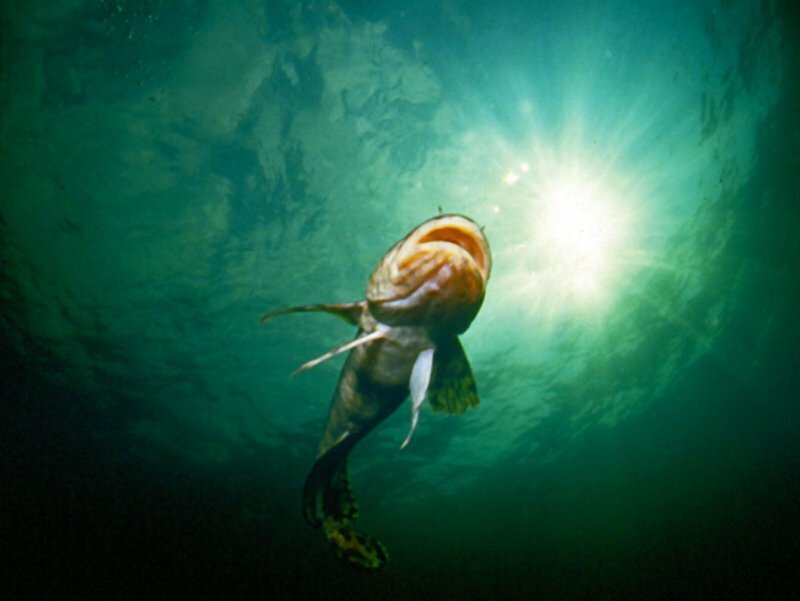 On this website you will find information about diving in the Salzkammergut as well as information on the lakes in the Salzkammergut. 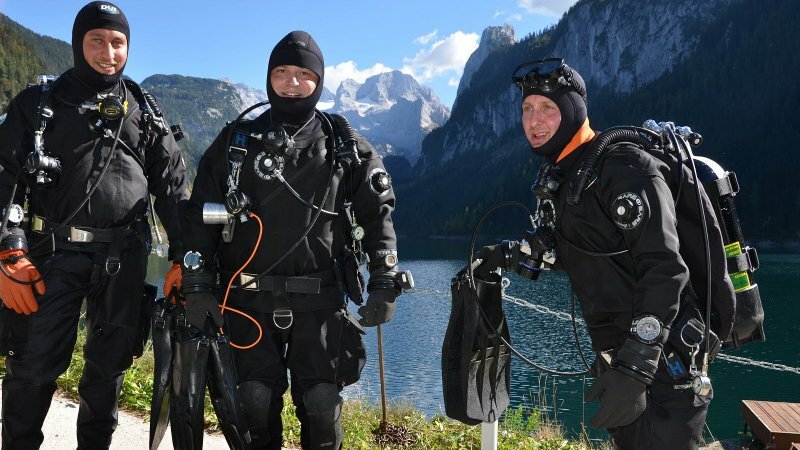 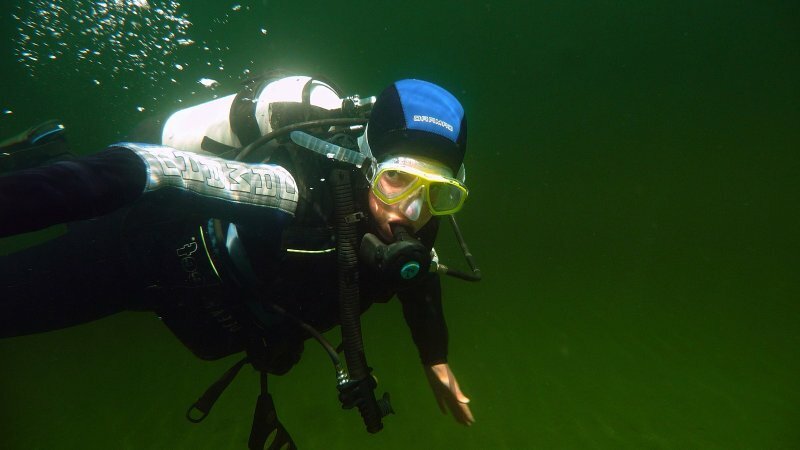 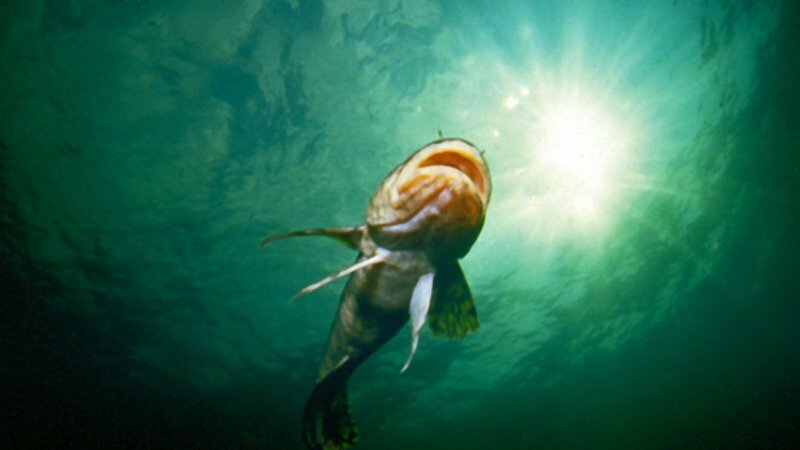 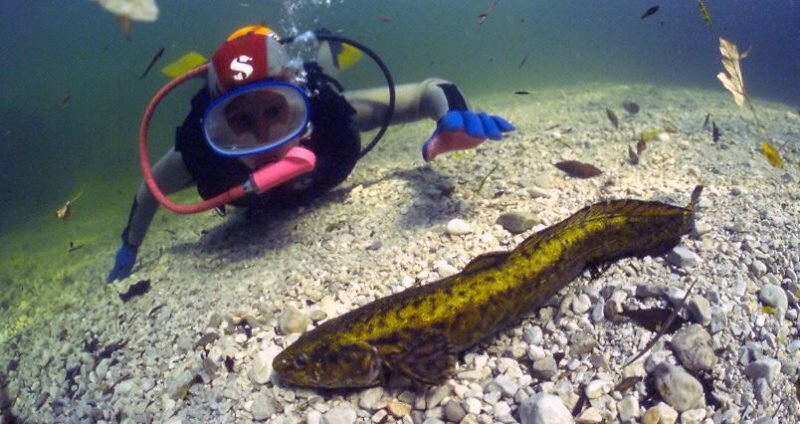 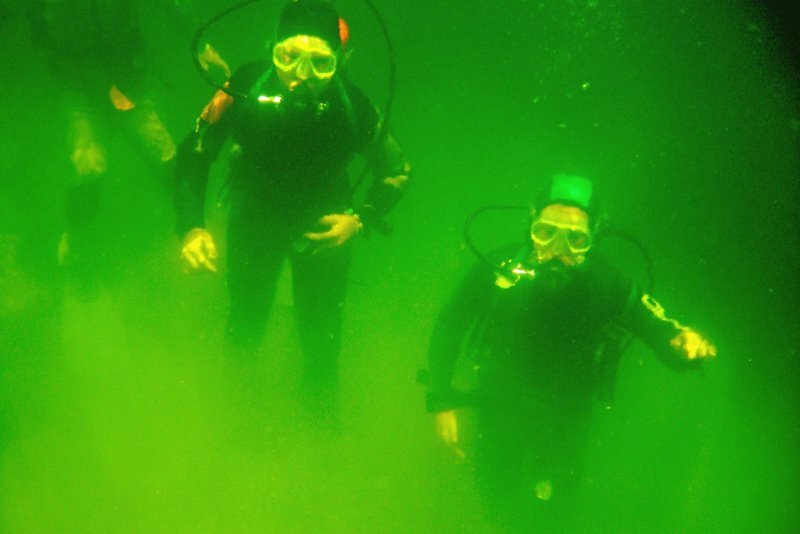 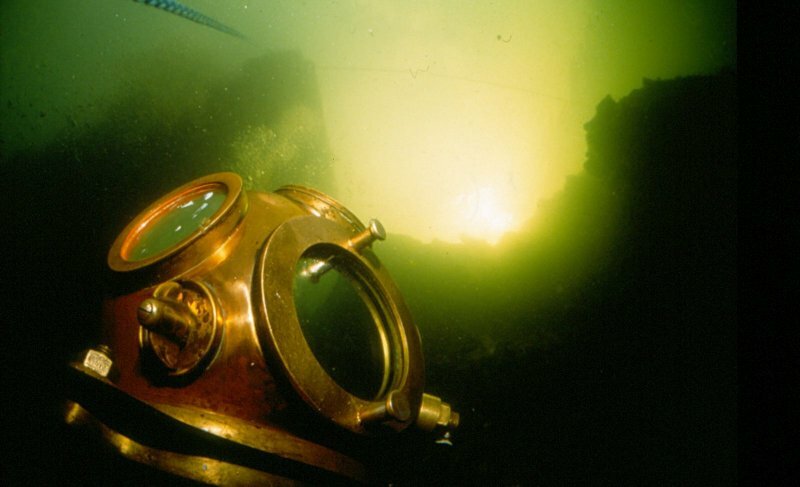 Diving with the Dachstein-Salzkammergut diving club is the most beautiful thing in the world!